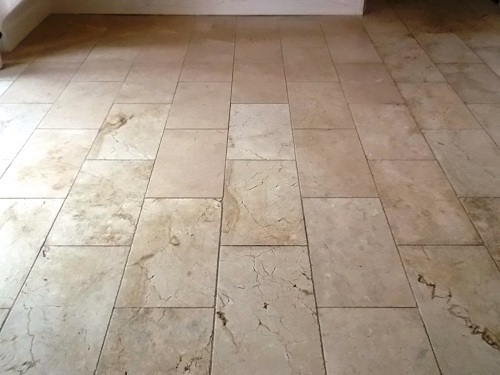 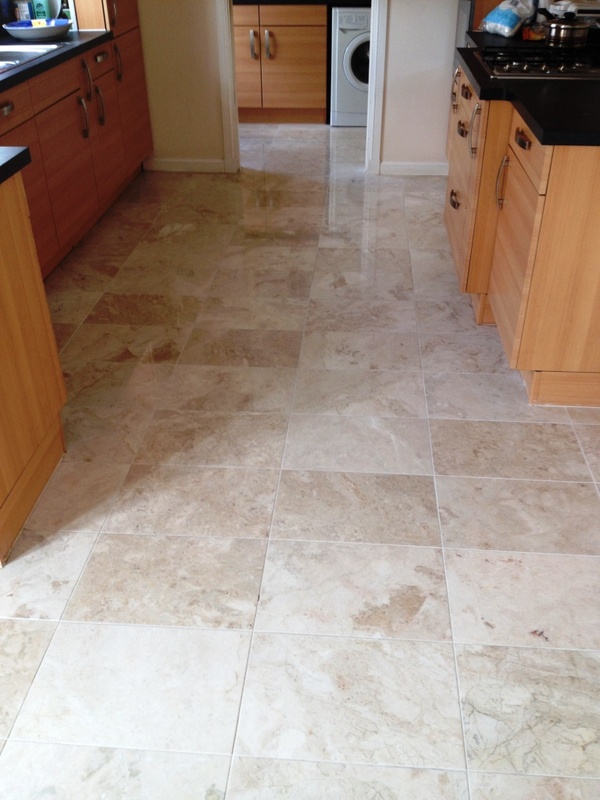 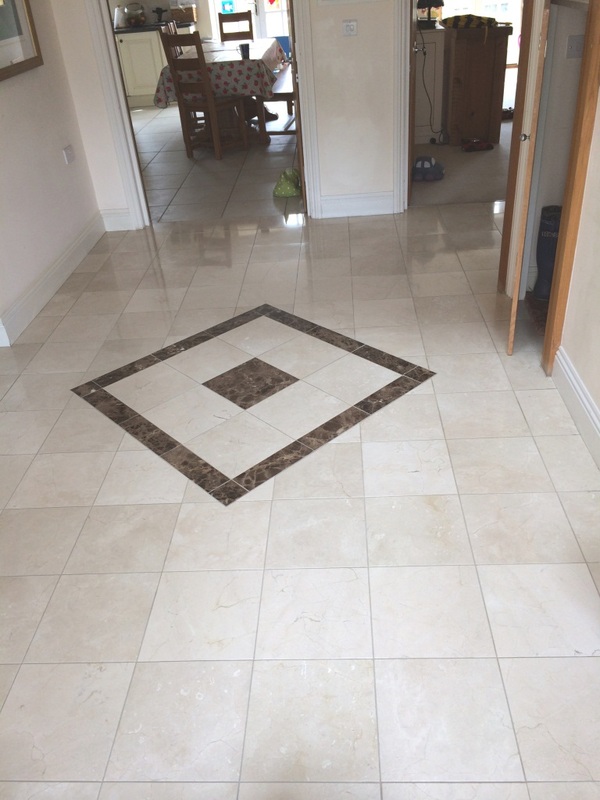 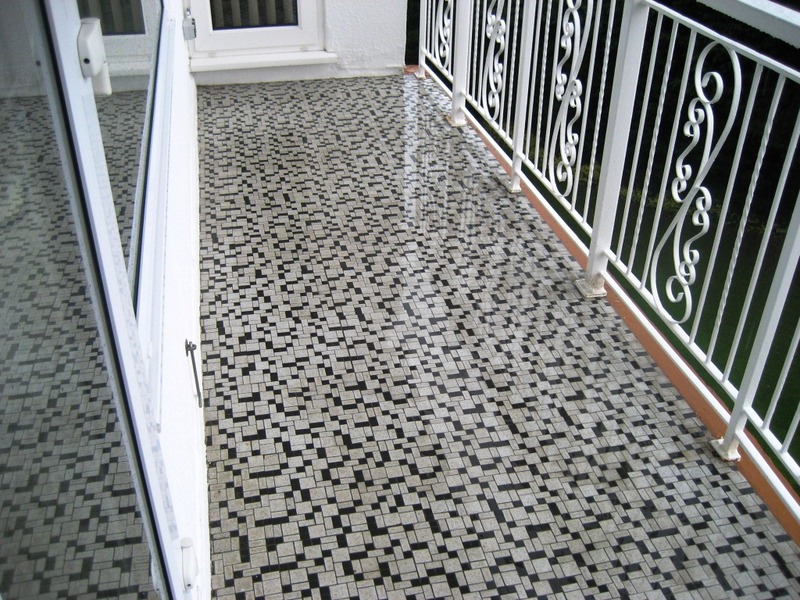 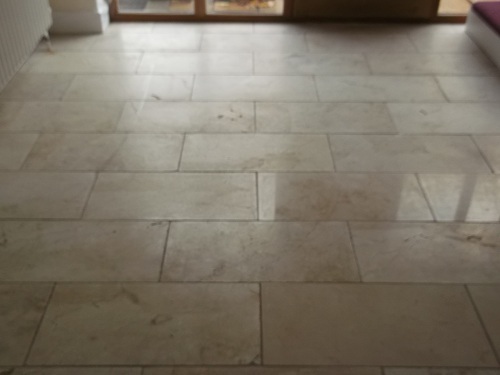 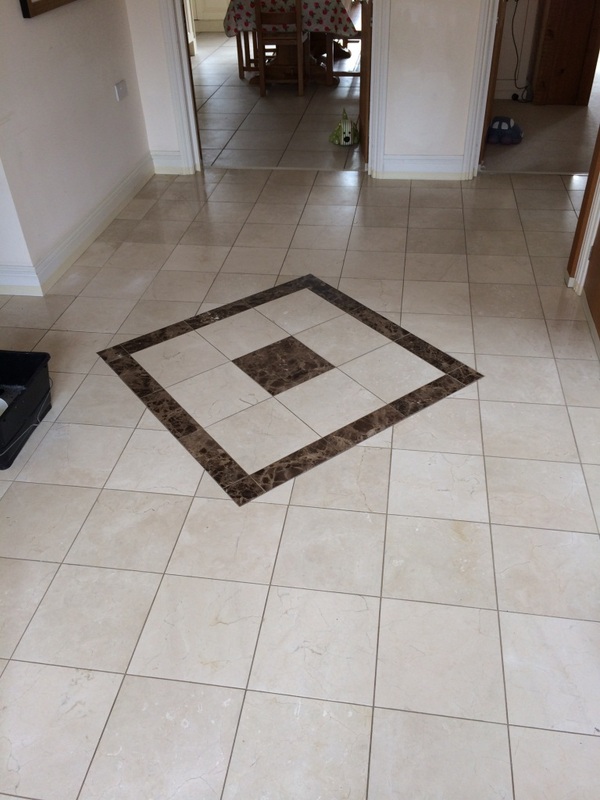 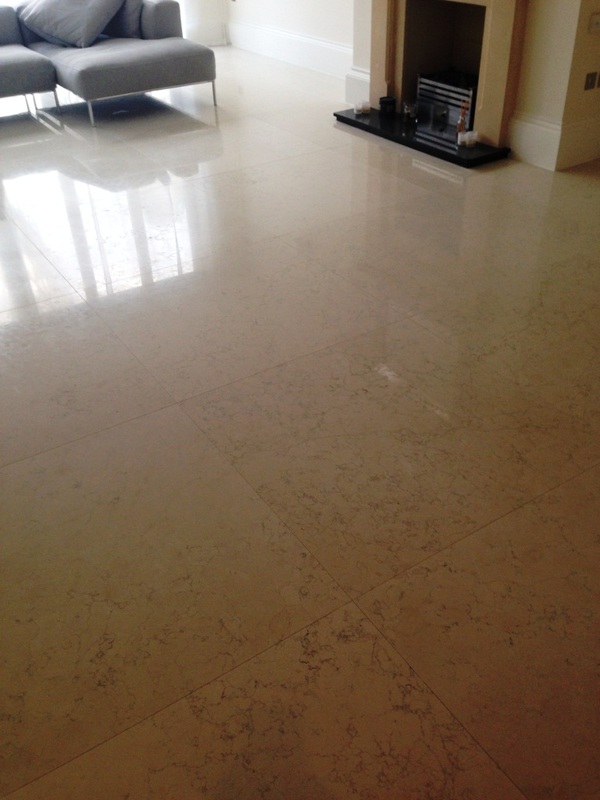 A customer recently purchased a property the village of Chesham and hoped we could improve the appearance of her textured marble tiled floors which had over a number of years become dull and lost the polished marble look one would expect from a floor of this quality. 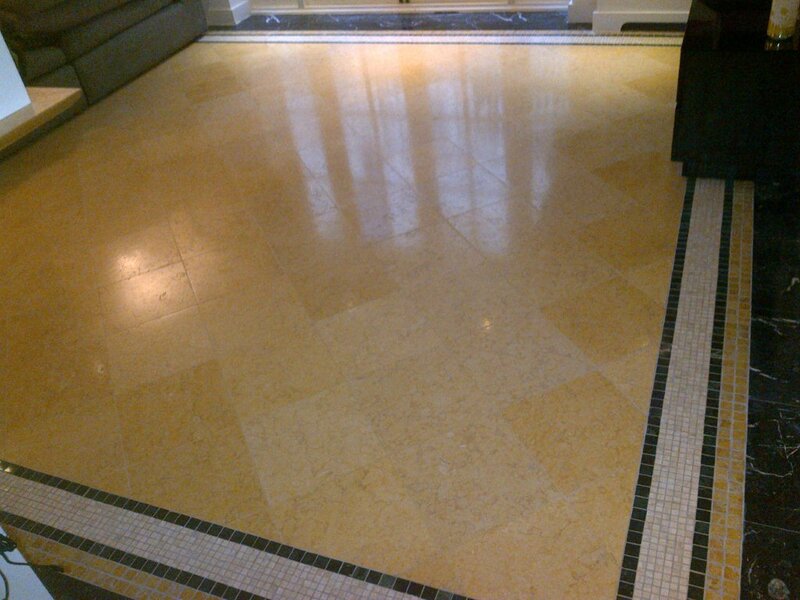 For polished stone like Marble and Limestone the only way to restore the finish is to burnish the floor and this floor was no different. 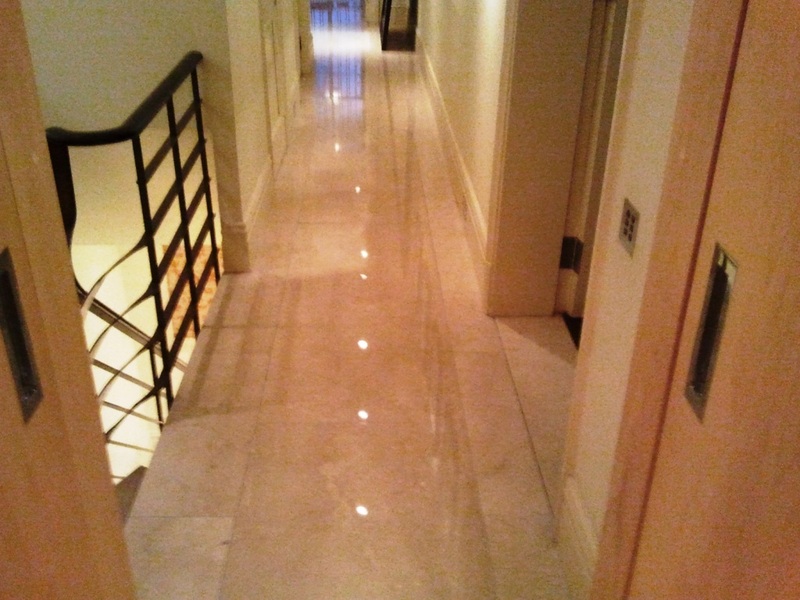 The burnishing pads are diamond encrusted and come in a setup of four seventeen inch pads for use with a heavy rotary machine, each pad having a different purpose. 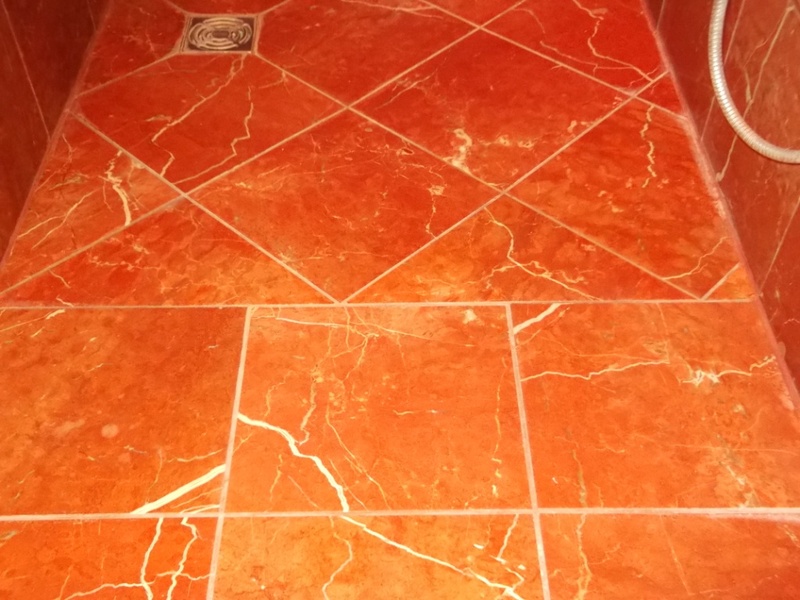 So we started with the Red pad which is designed to remove sealers together with a little water, we then took the opportunity to clean up the grout by applying a dilution of Tile Doctor Pro-Clean and scrubbing it into the grout lines to get them clean. 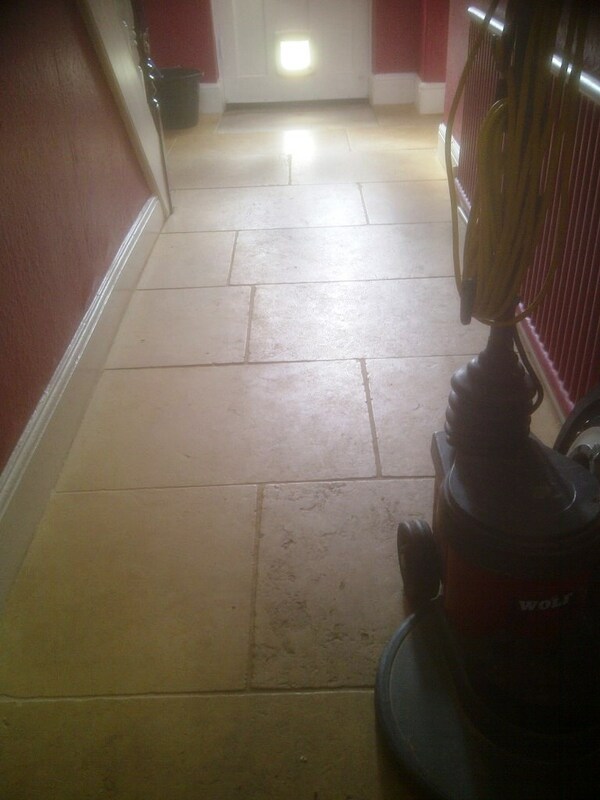 Next step was to remove the soiled cleaning solution and wash the floor down with water before moving onto the white burnishing pad which will grind off ingrained dirt and is the first step in polishing the floor. 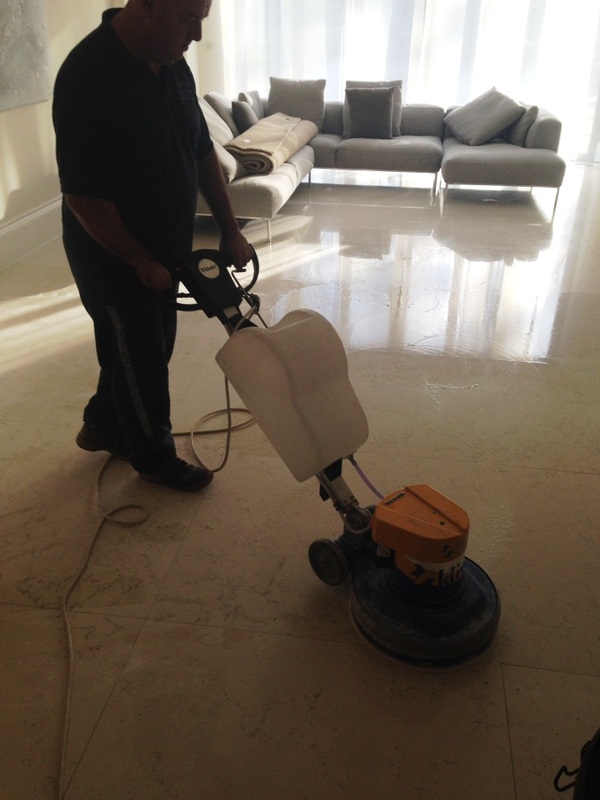 We then completed the floor polishing using the Yellow then Green polishing pads which smooth down the surface and produce a shiny finish. 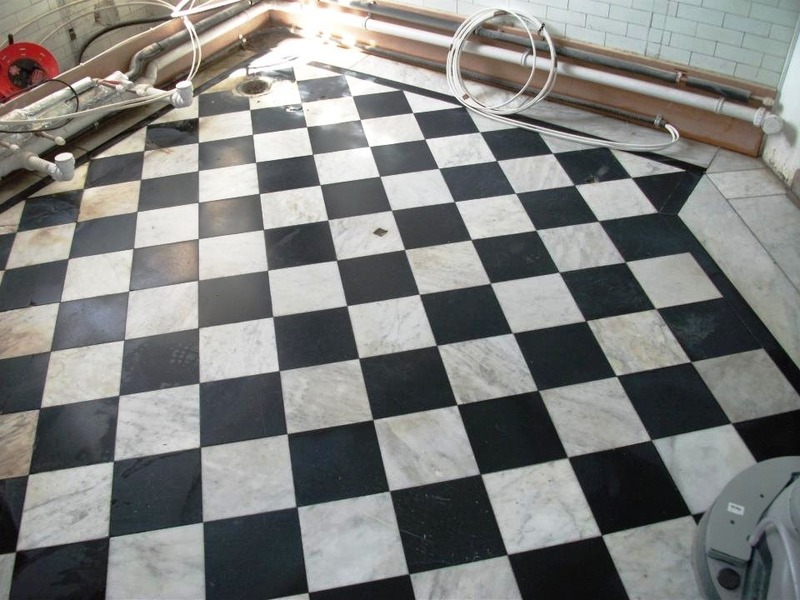 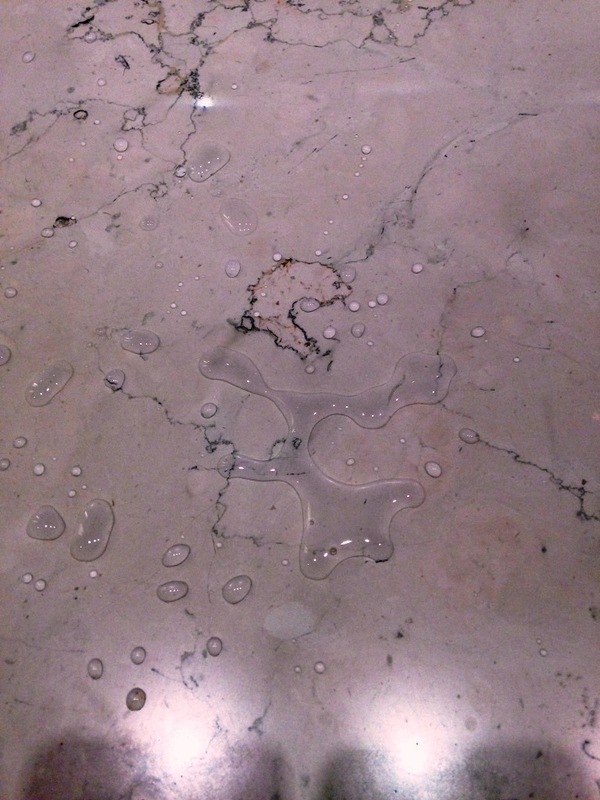 Once the floor was polished we applied Tile Doctor Shine Crystallising Powder to the marble tile using a rotary machine fitted with a white polishing pad. 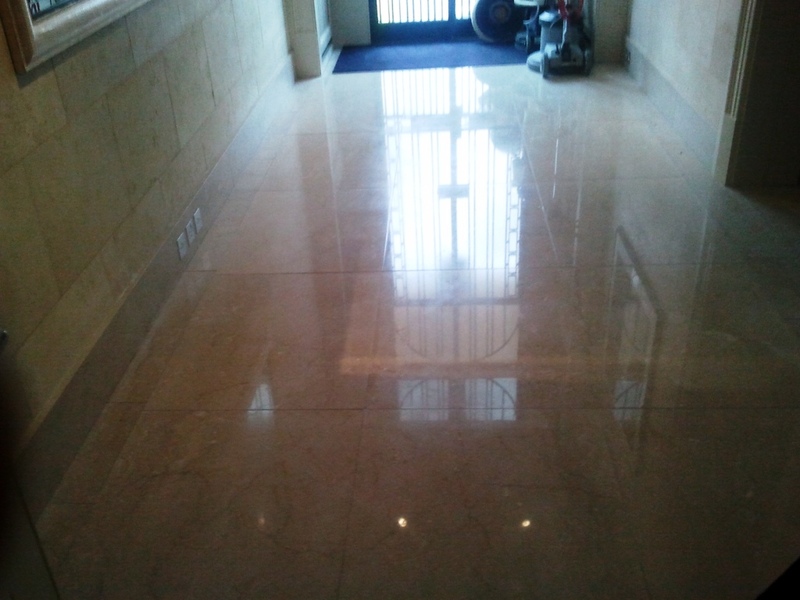 This last step gives a very deep high shine as well as a tough durable finish. 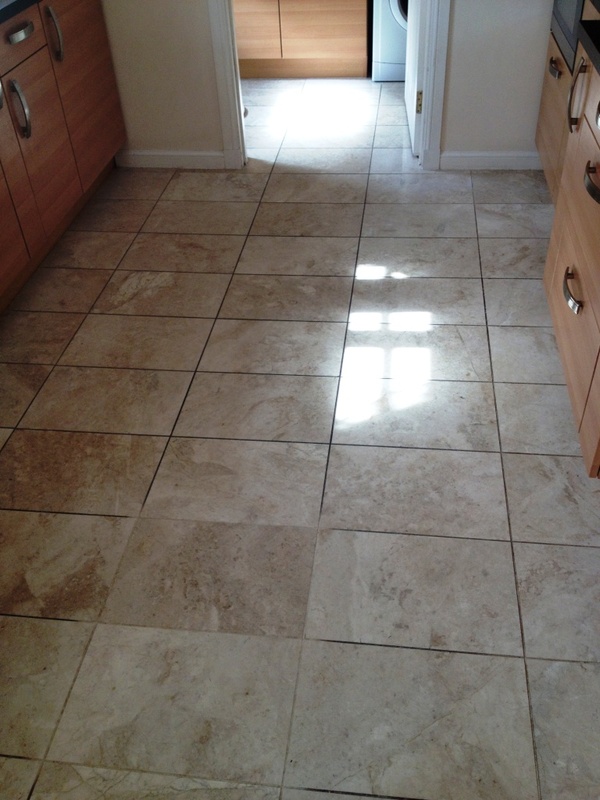 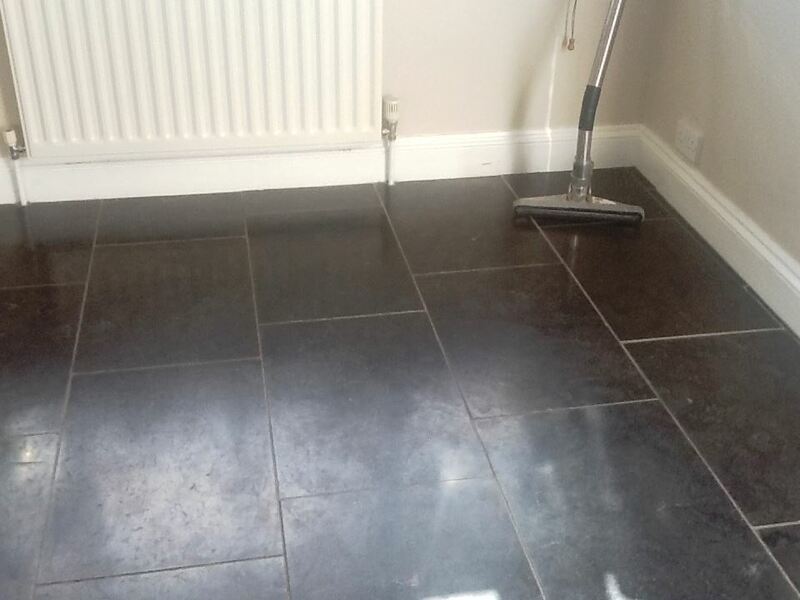 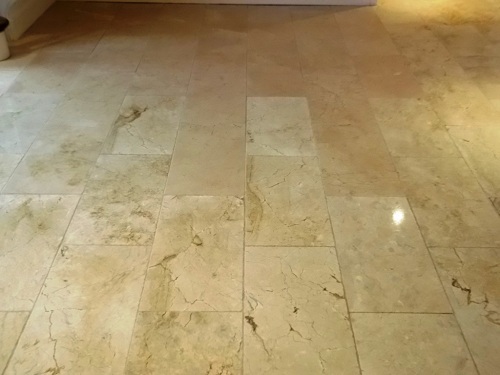 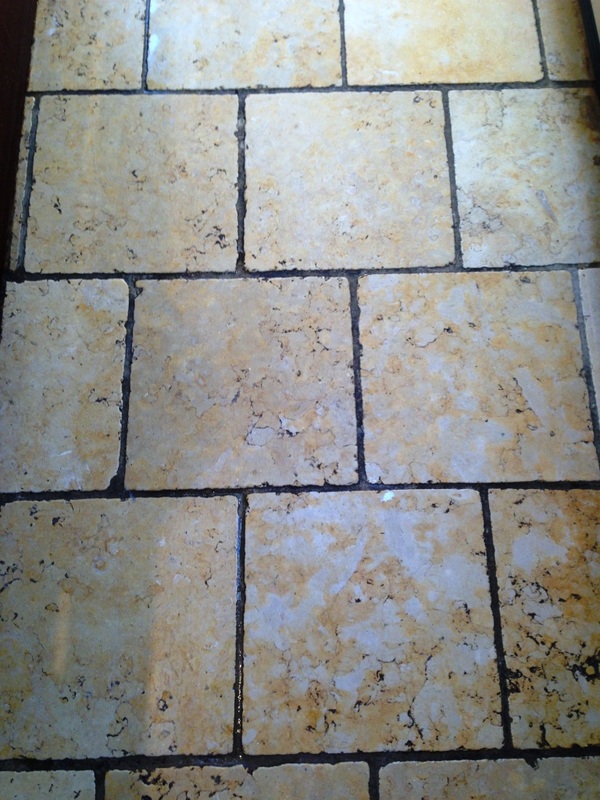 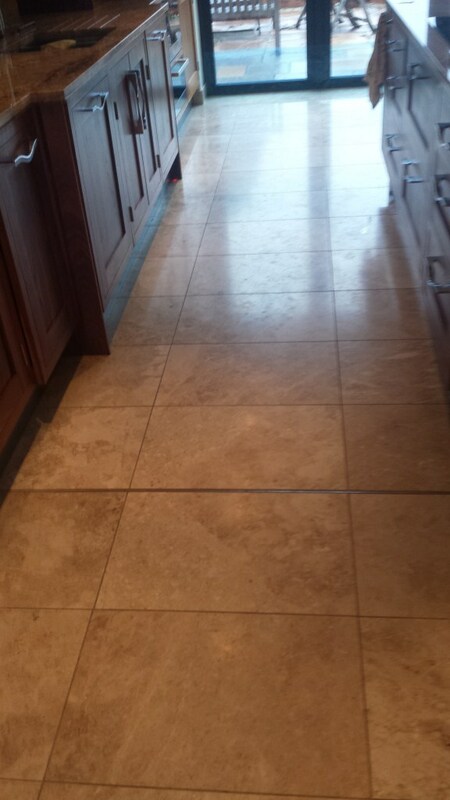 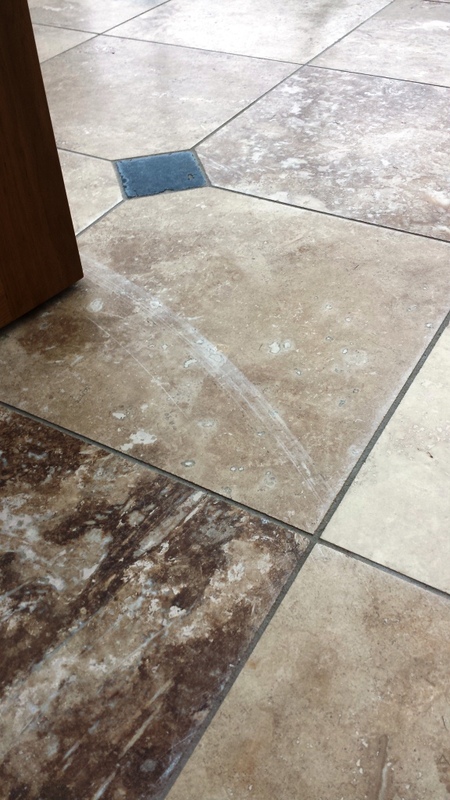 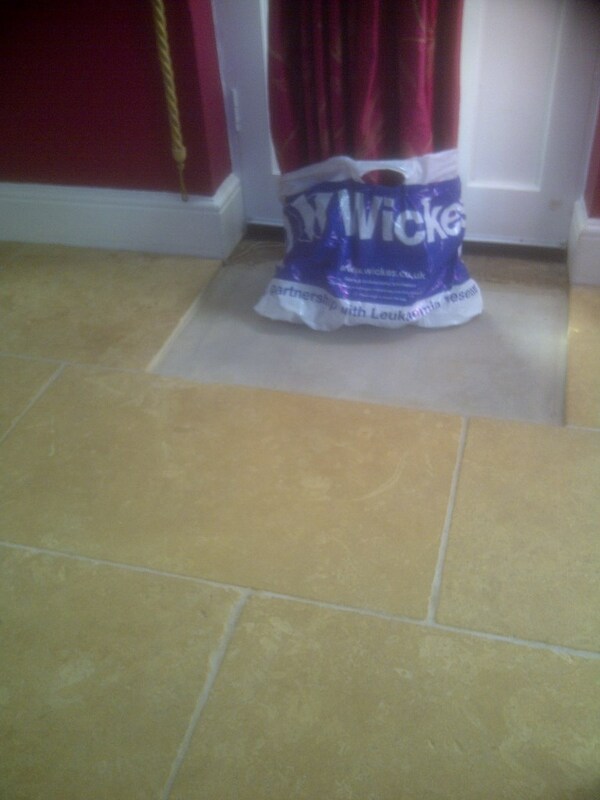 When the customer returned she asked was it safe to walk on as the floor as at first glance it looked wet; we assured her this is the Tile Doctor high shine appearance and is perfectly ok. 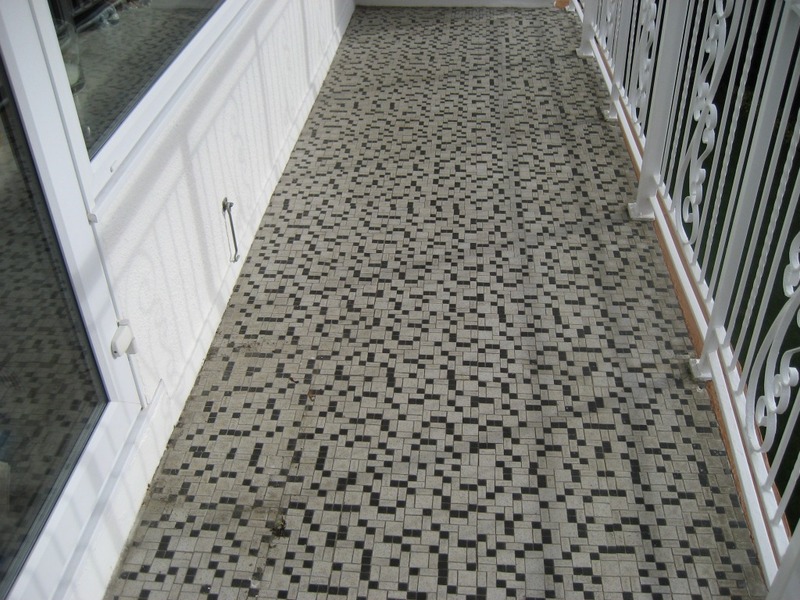 This Marble tiled floor was in the hallway of a house in the historic town of Woodbridge; the floor had lost its lustre was looking dull and in need of a good polish. 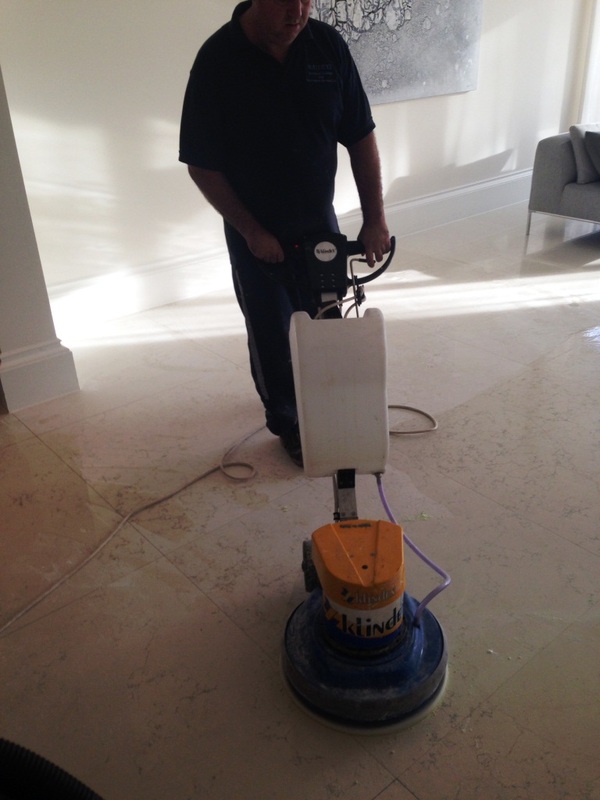 It took a day to clean the Marble tiles using a set of 17 inch diamond encrusted Twister burnishing pads fitted to a buffing machine. 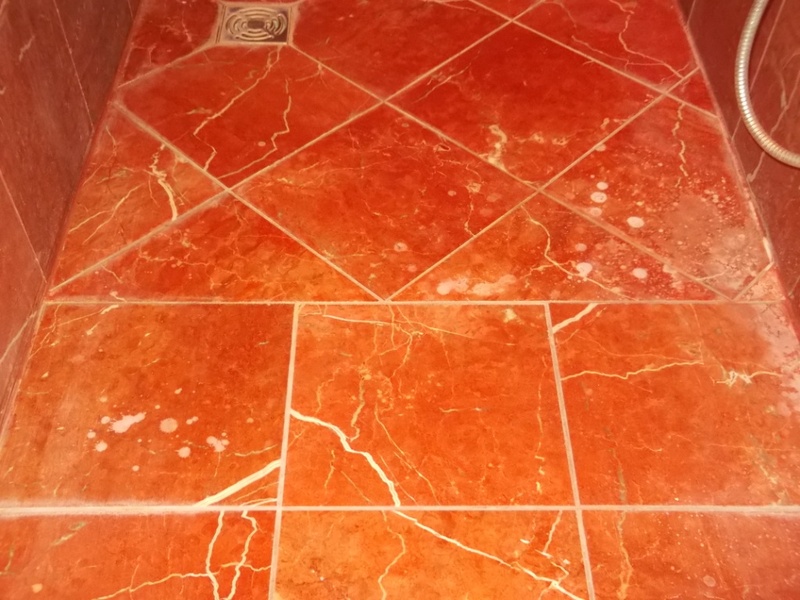 The pads come in a set of four and you start with the red pad in conjunction with water to remove the existing sealer followed by the white and yellow pads also with water to clean and hone the stone. 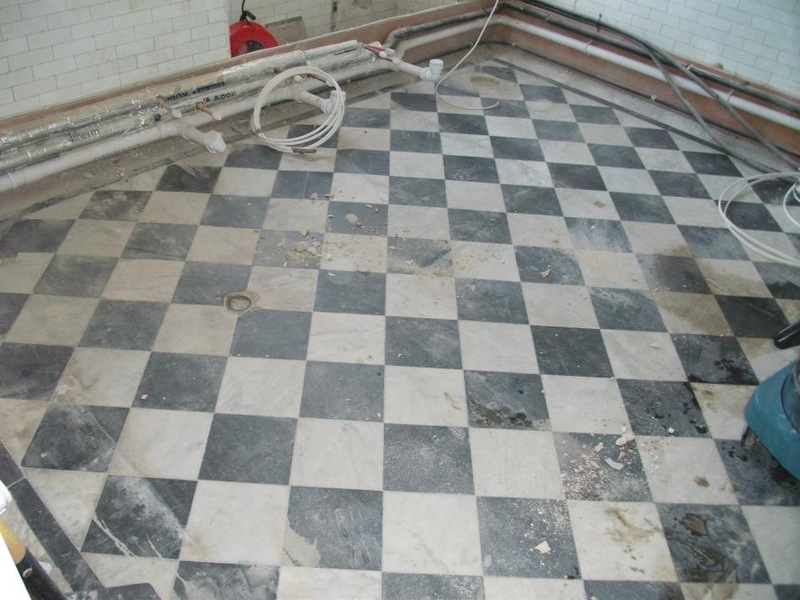 The tiles were then rinsed with clean water to clean and neutralise the floor ready for sealing. 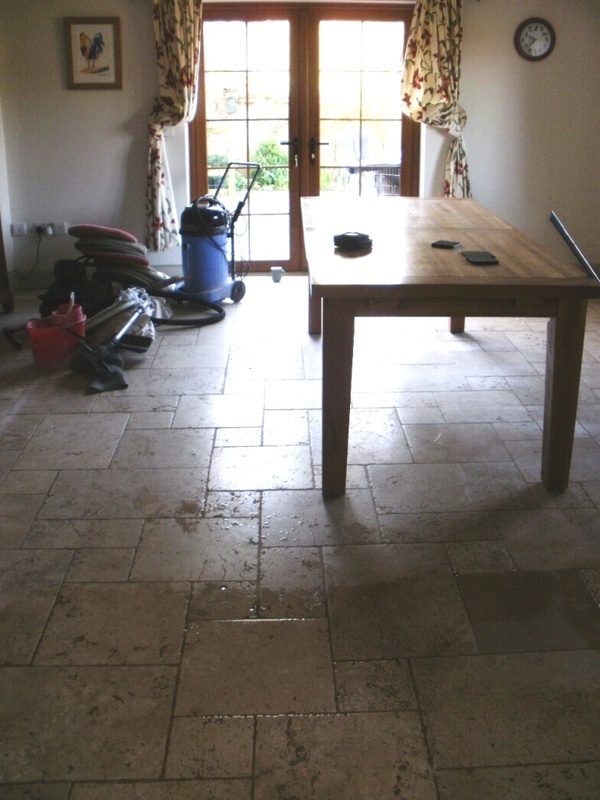 Once the floor was dry we used the final green pad with a small amount of water to polish the tiles before moving onto sealing. 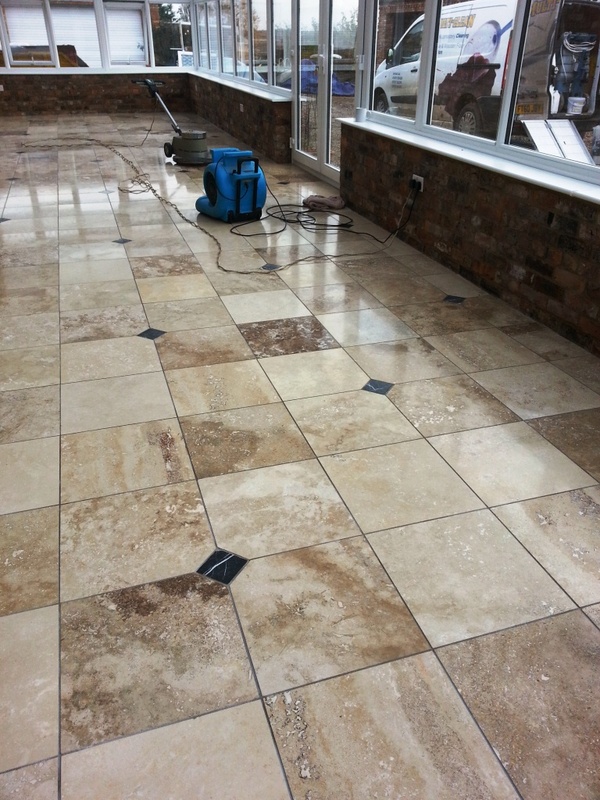 To seal we used two coats of Tile Doctor Colour Grow which does what it says on the tin and enhances colour as well as providing that important surface protection, a five litre bottle of sealer was required to provide two coats on this 35m2 floor. 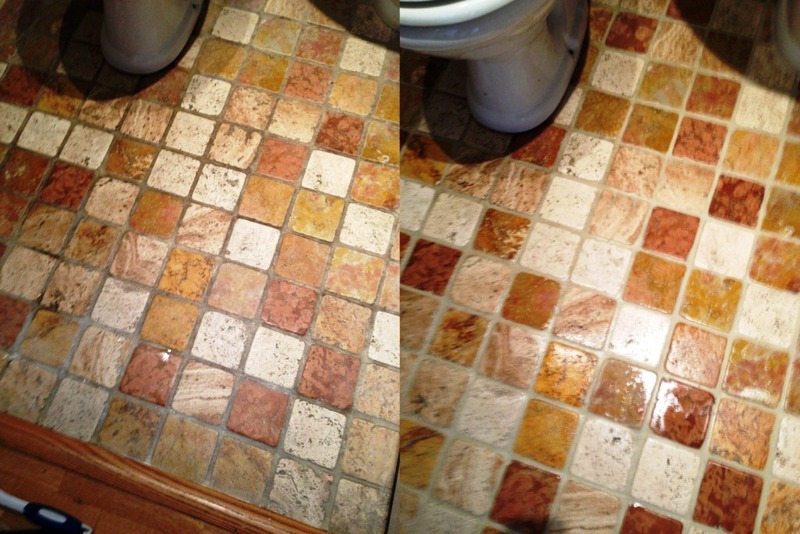 I’m not the world’s best photographer but hopefully you agree from the pictures on this page that the floor has now got its shine back. 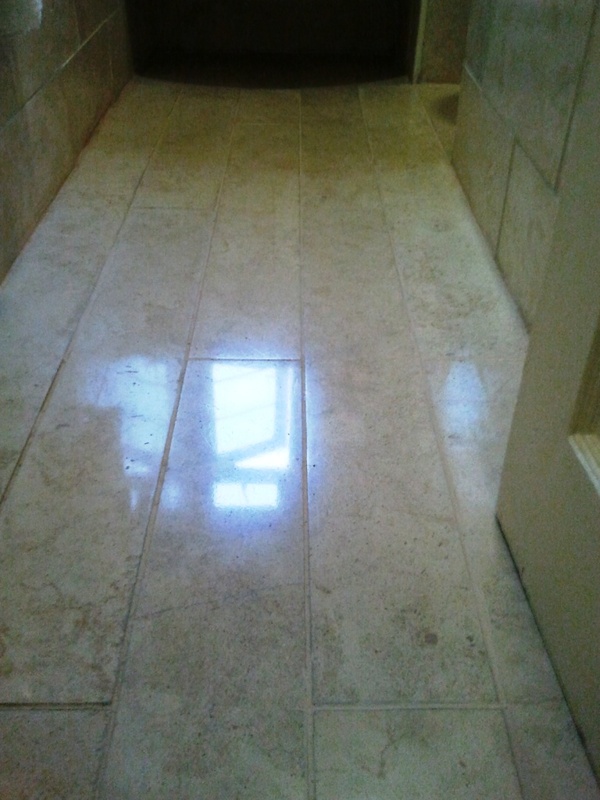 Details below of a wet room lined with 10m2 of Marble in old cottage on the outskirts of the medieval village of Great Bricett in the heart of Suffolk. 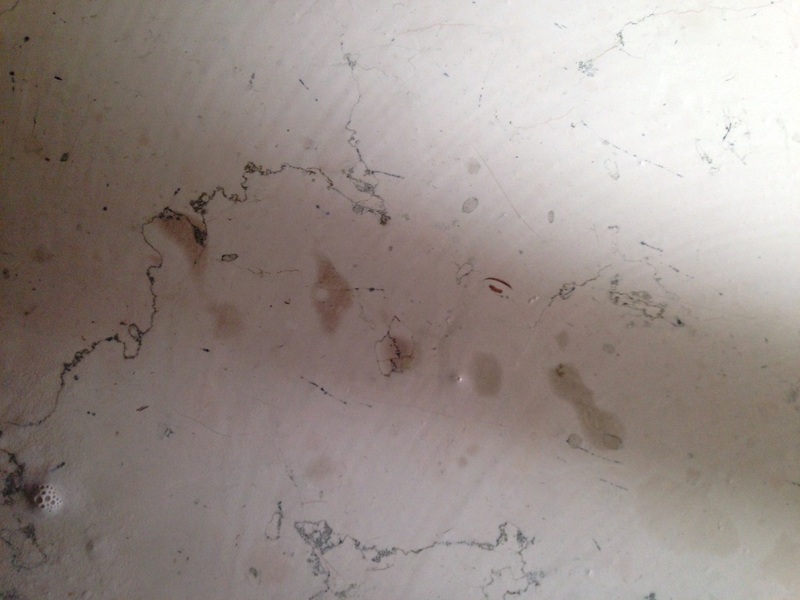 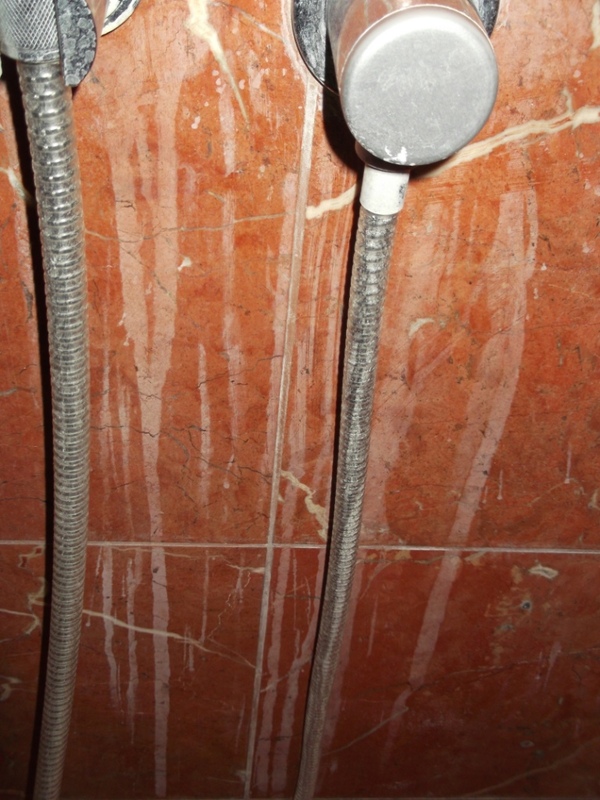 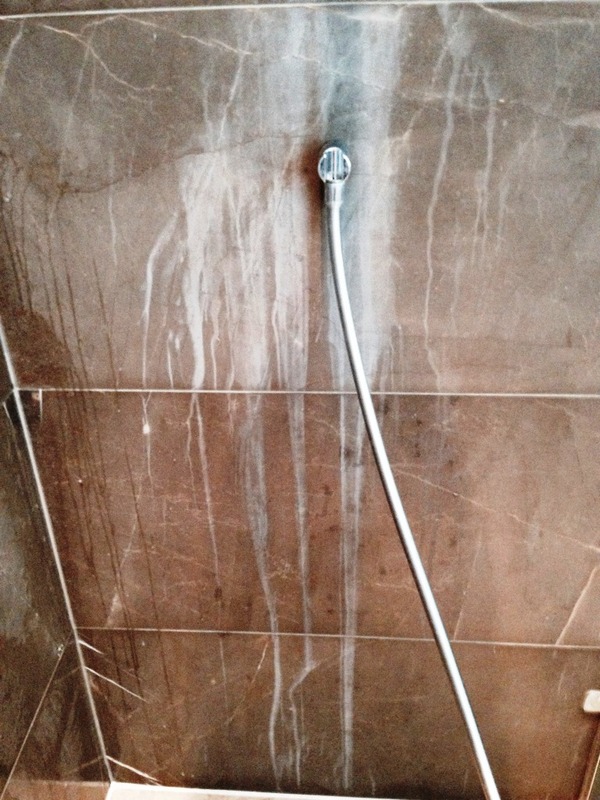 You can see from the photographs staining of the Marble Tiled wall and floor which was left in a mess after a friend of the family had tried to remove the limescale during a visit. 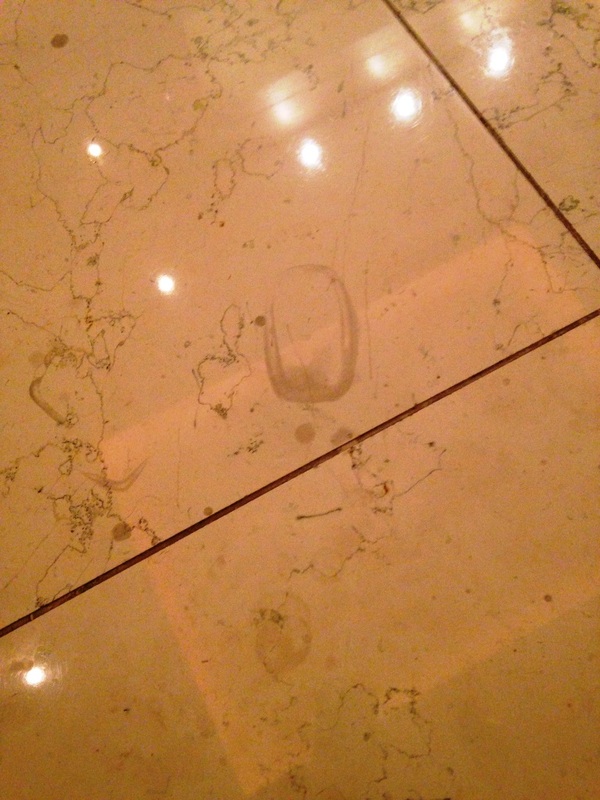 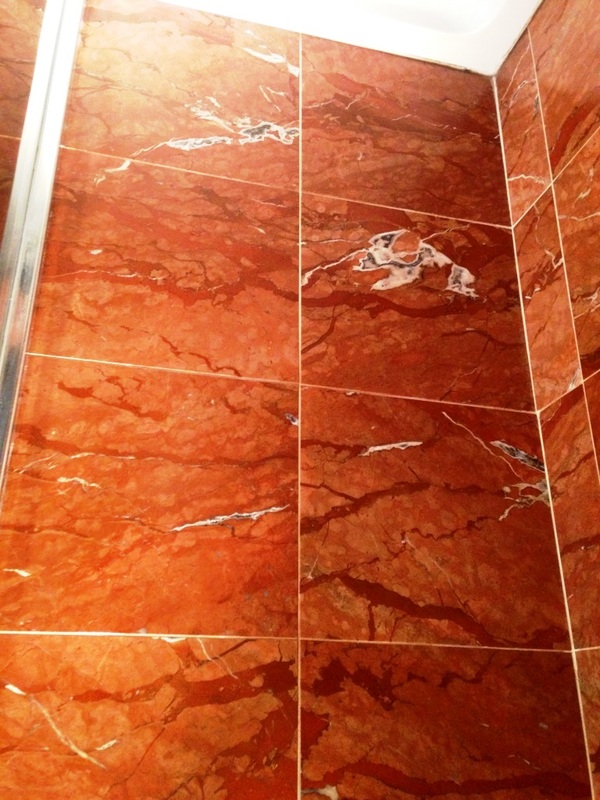 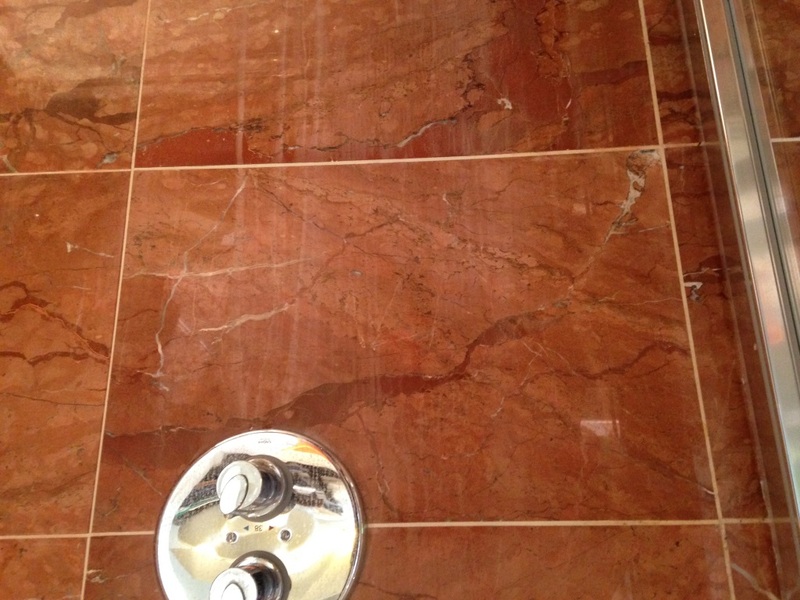 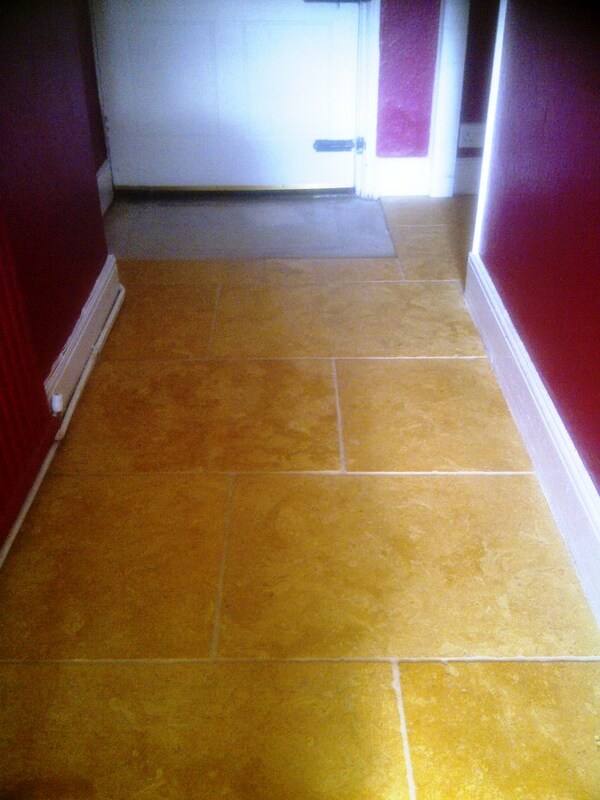 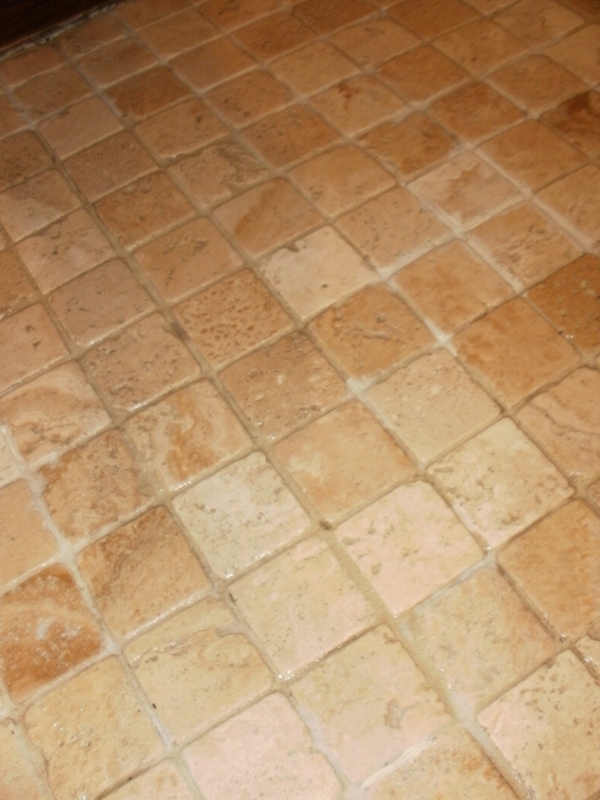 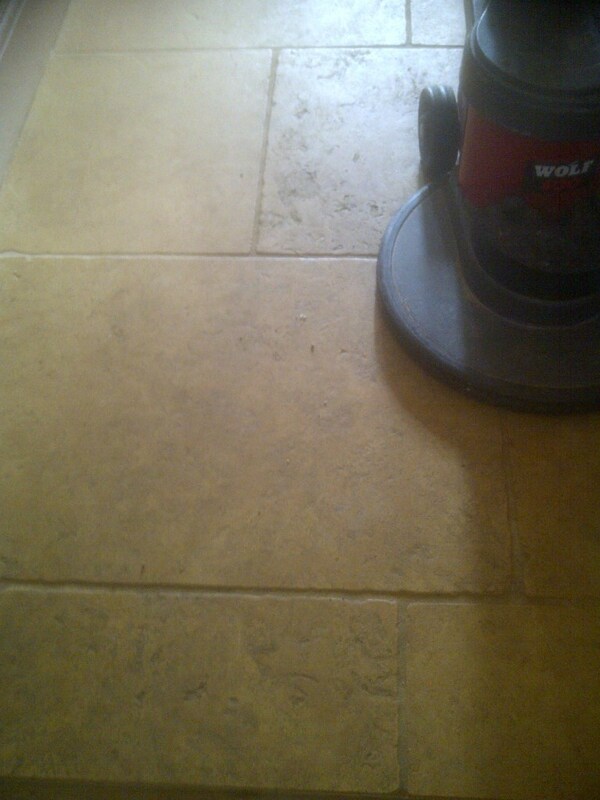 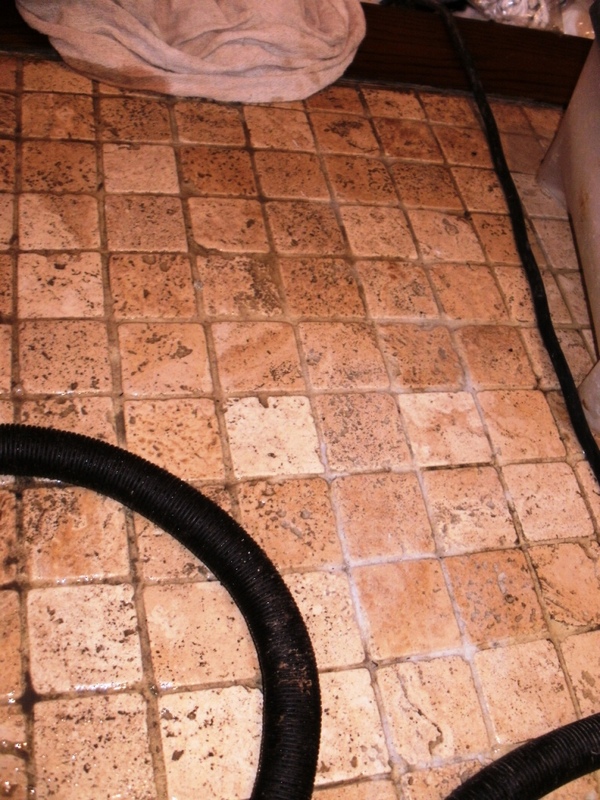 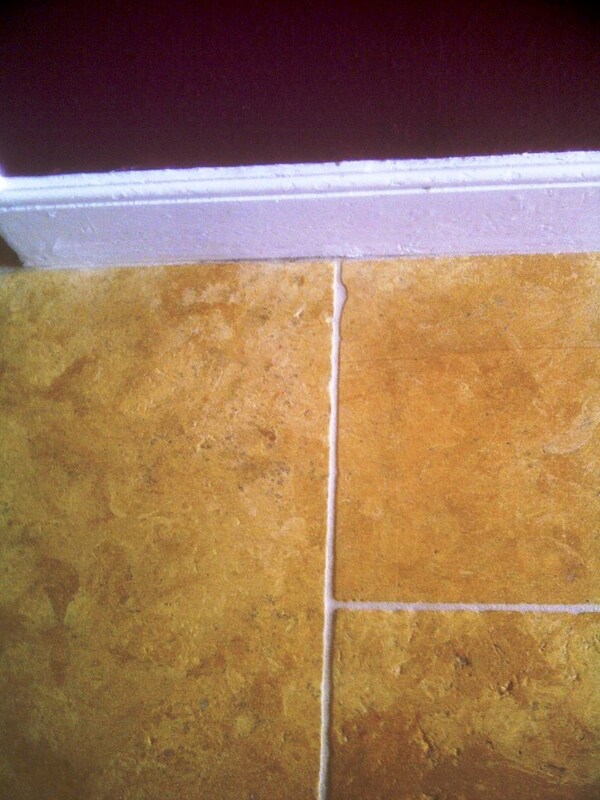 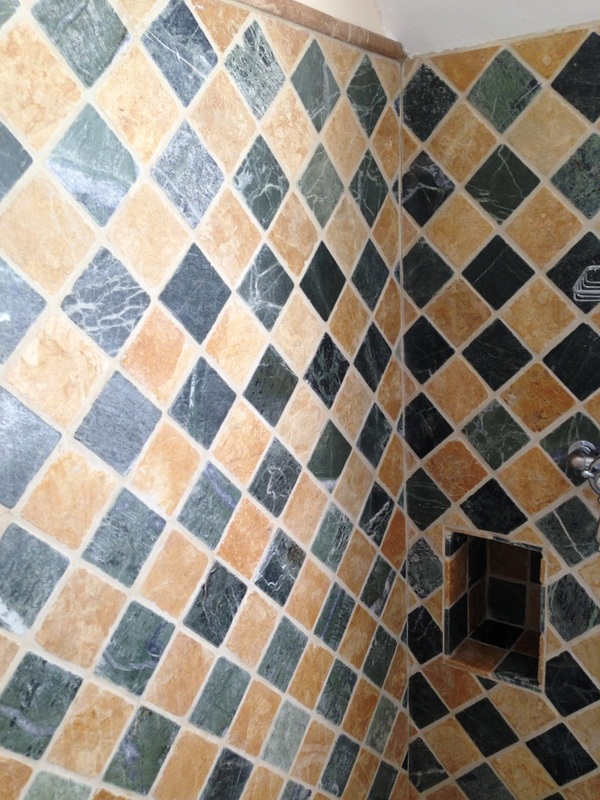 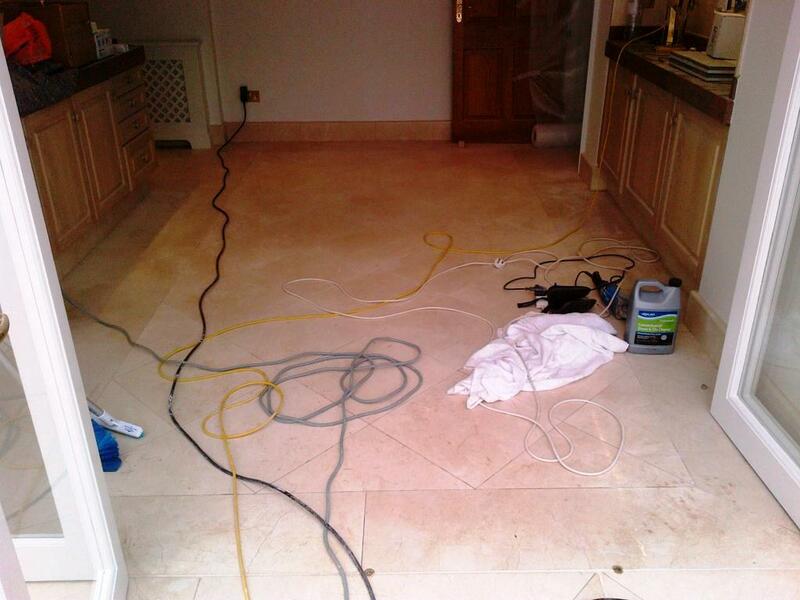 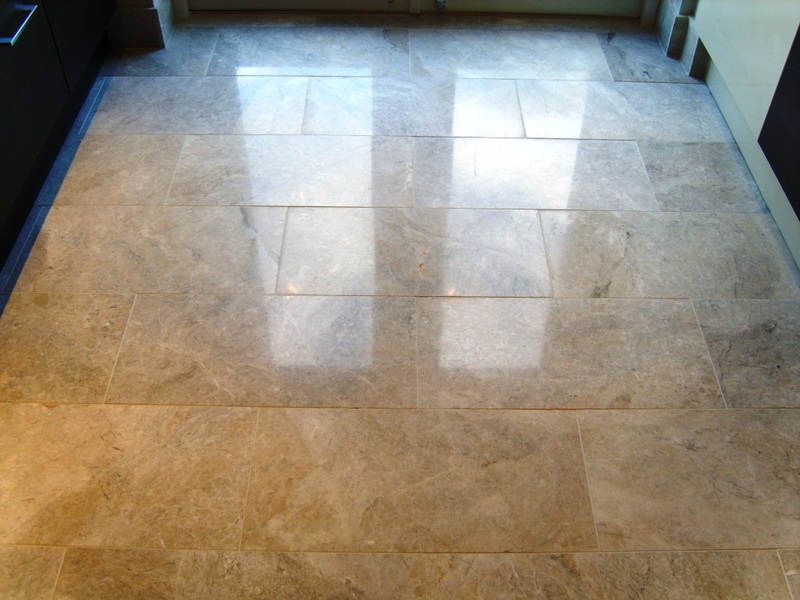 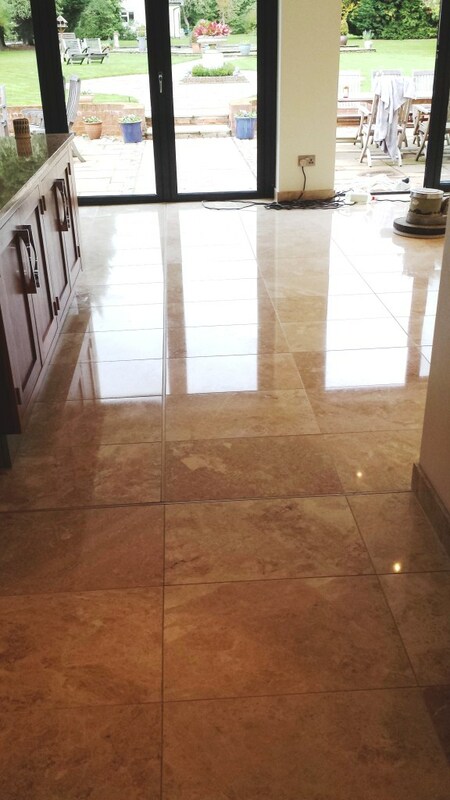 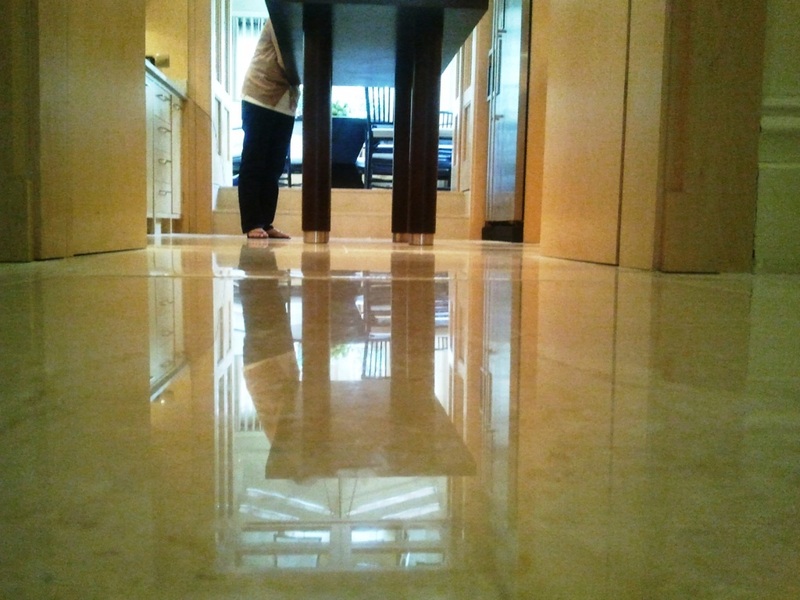 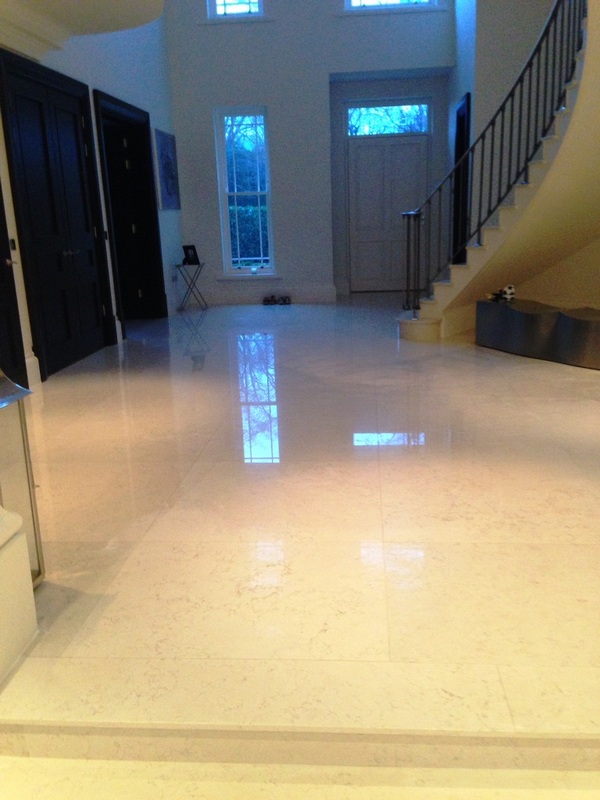 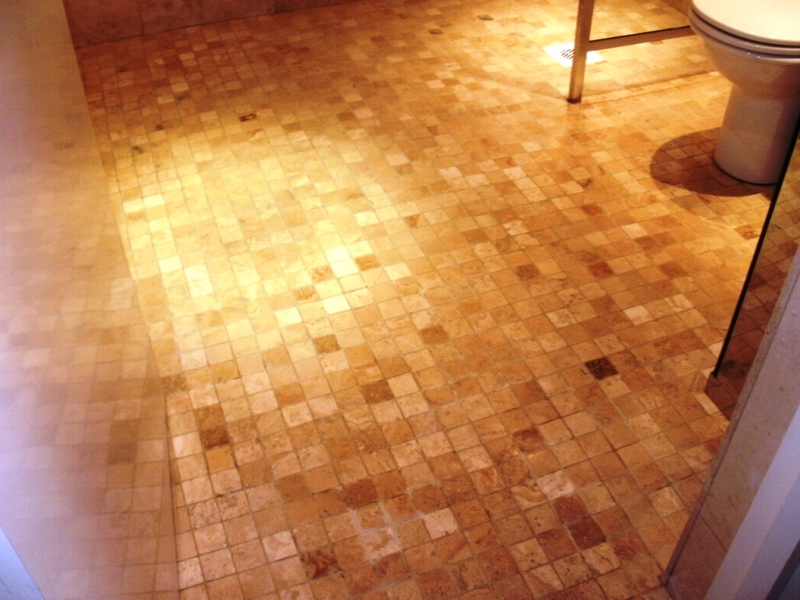 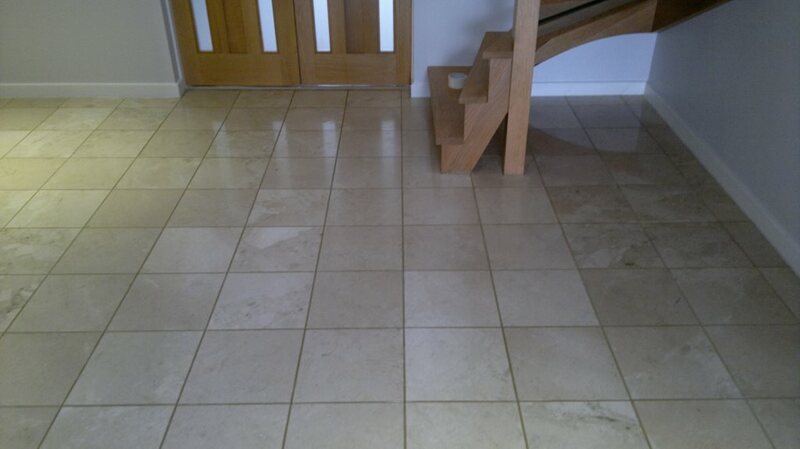 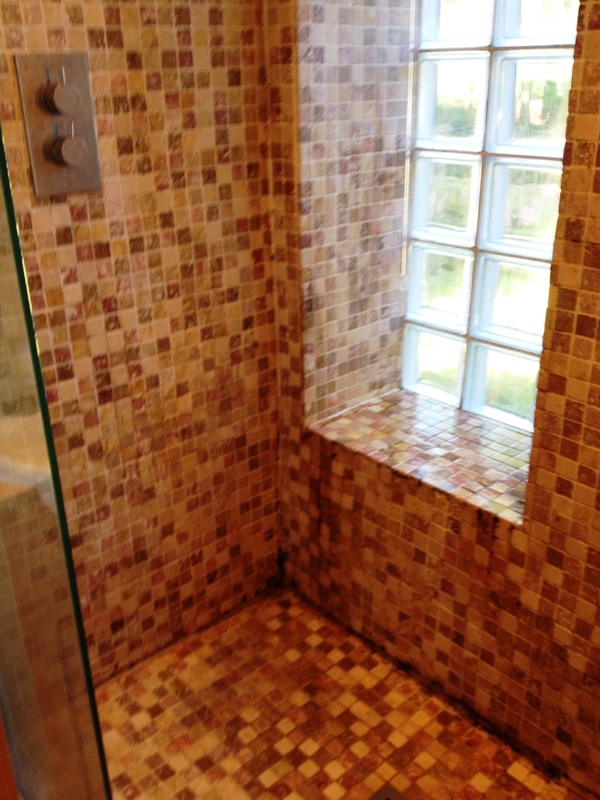 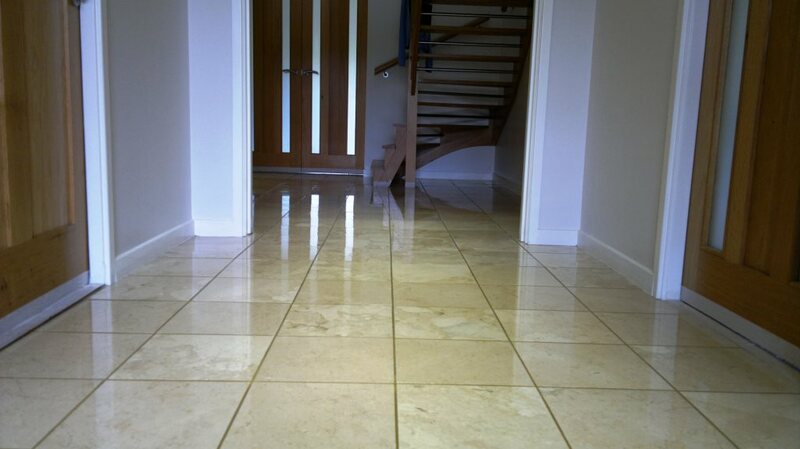 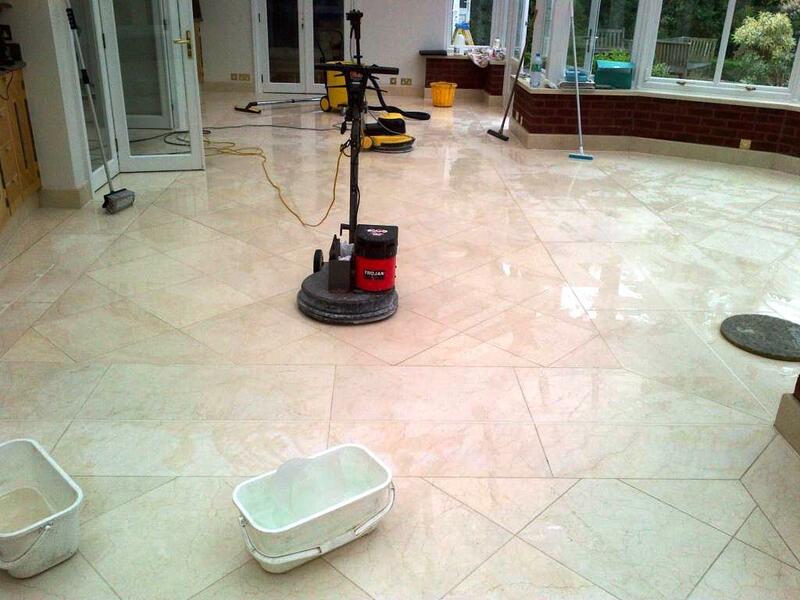 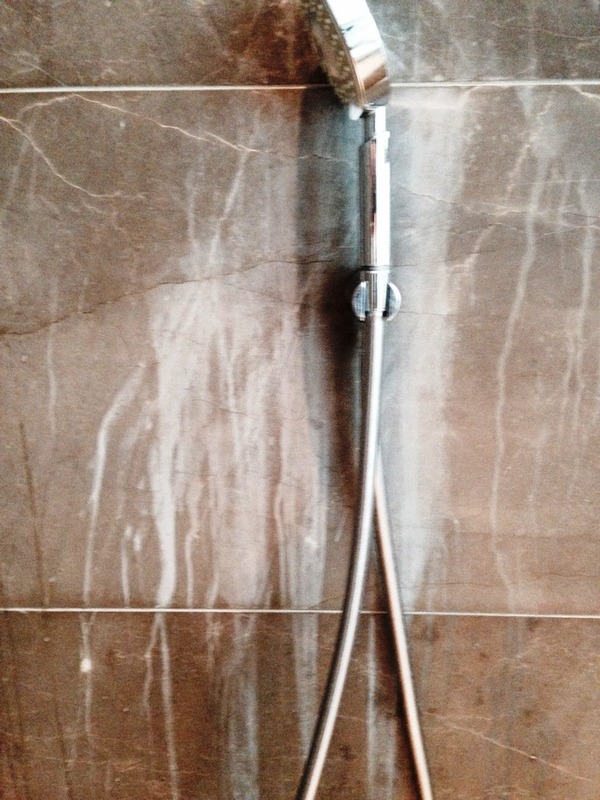 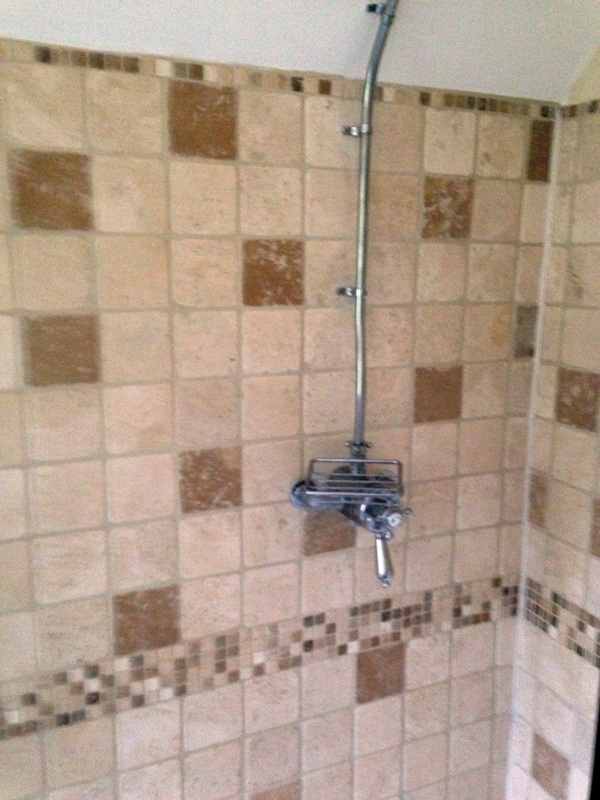 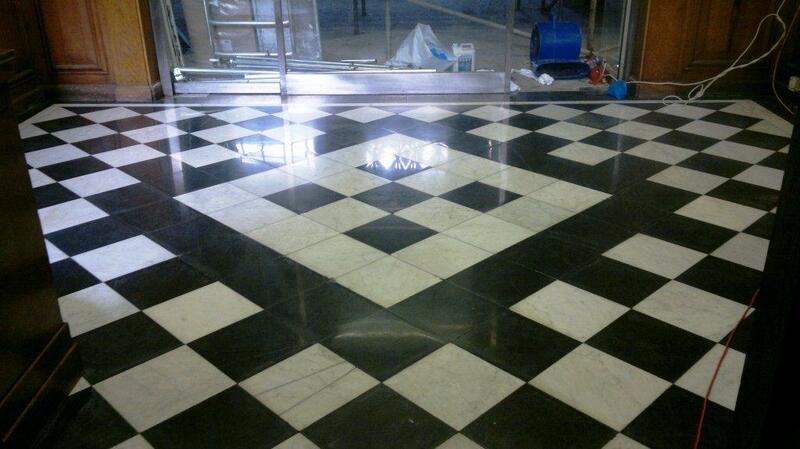 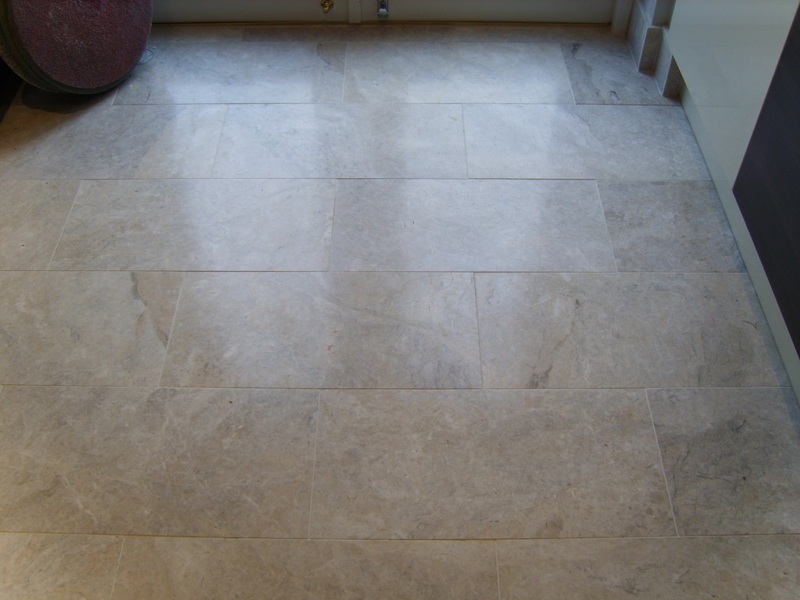 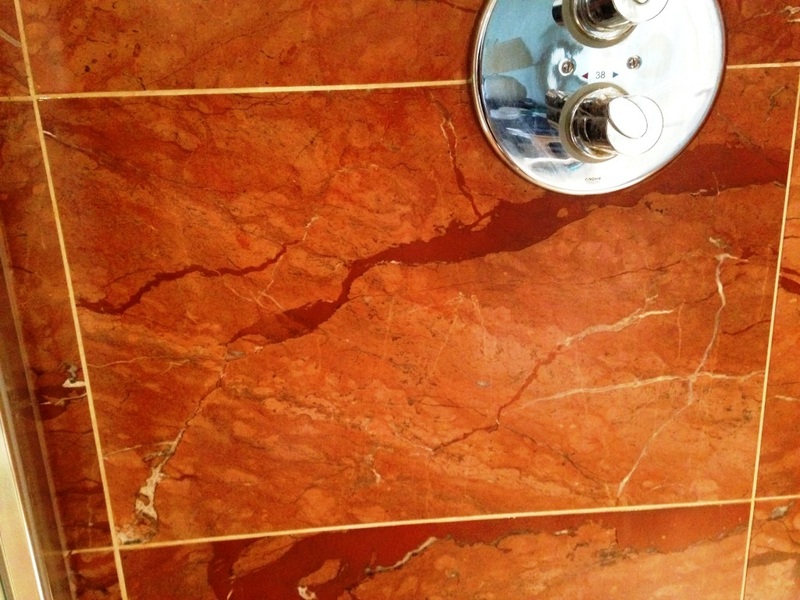 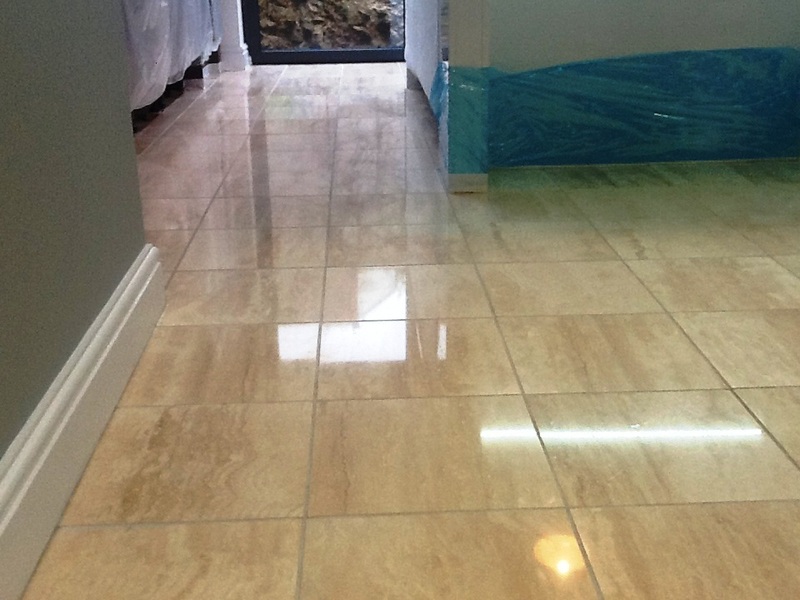 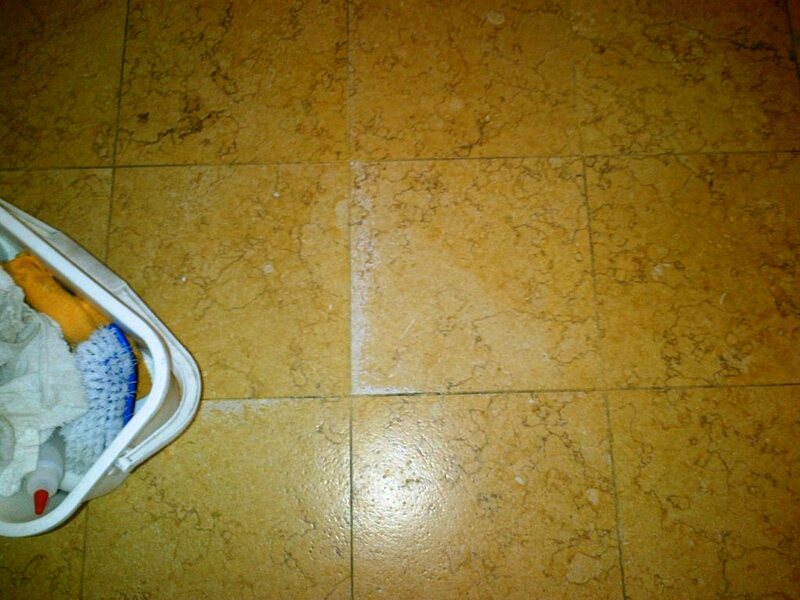 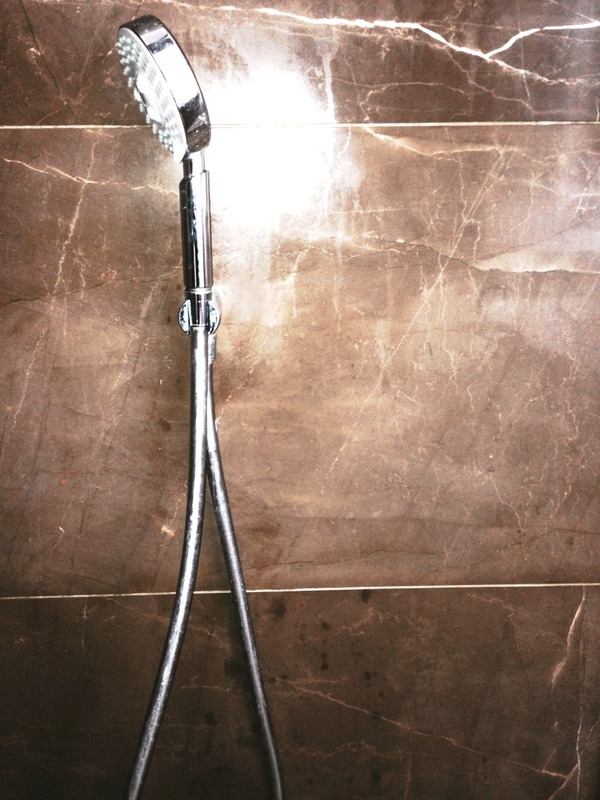 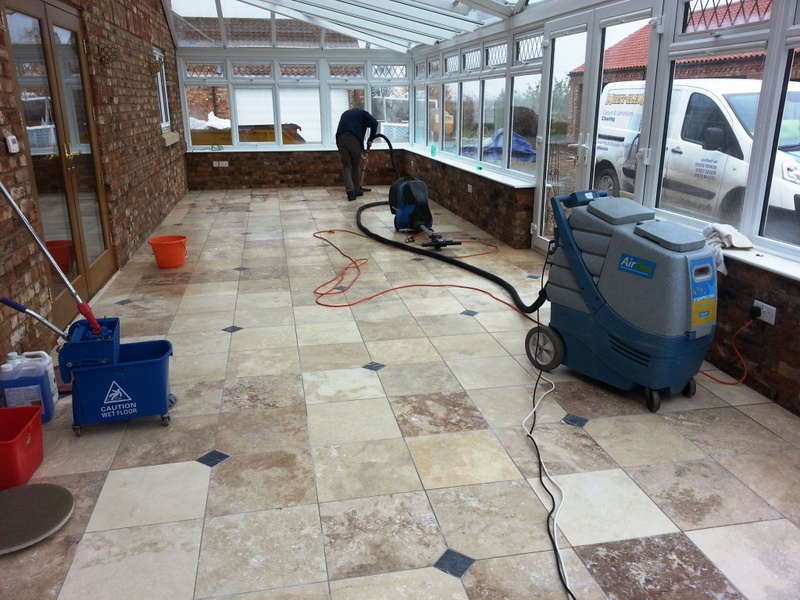 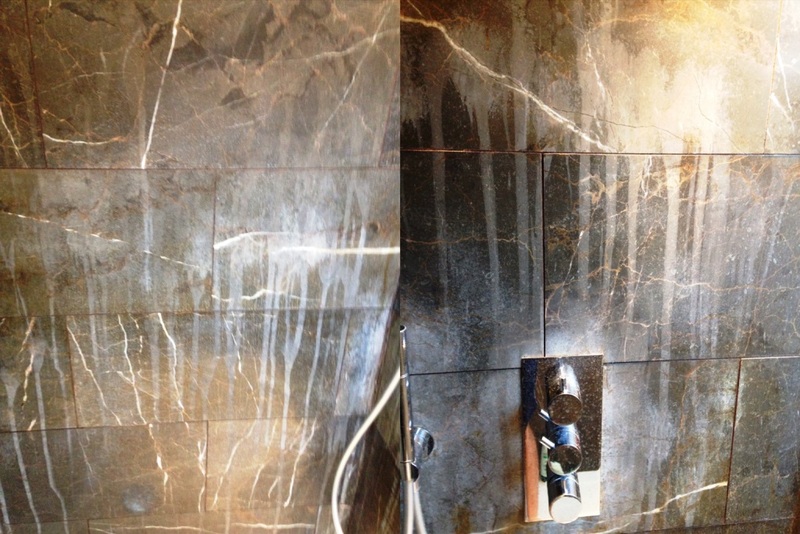 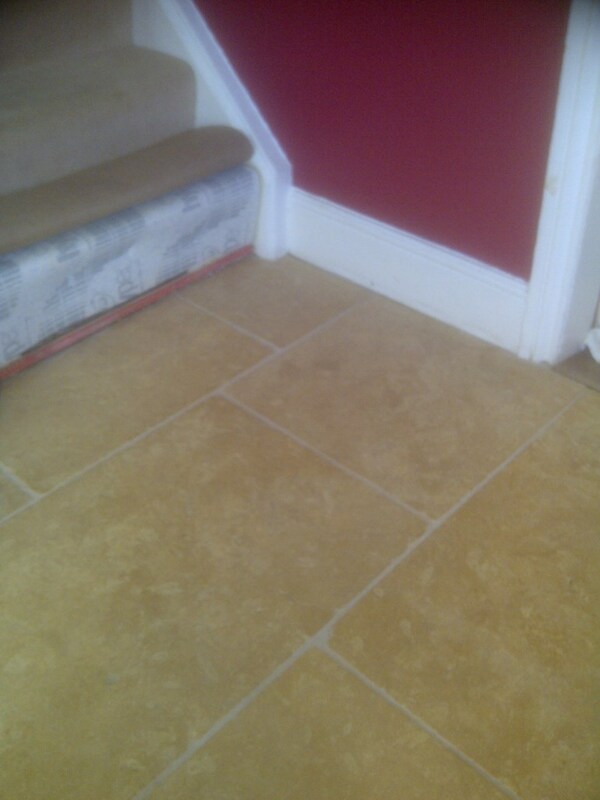 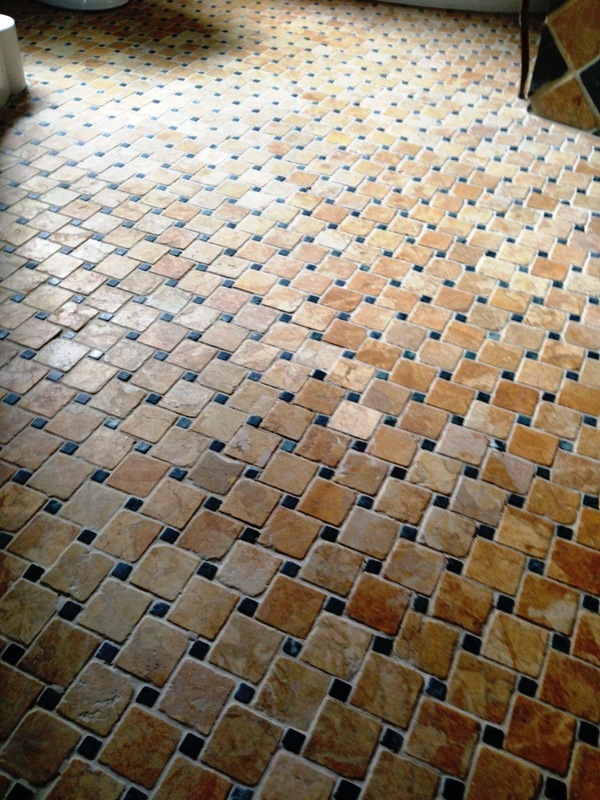 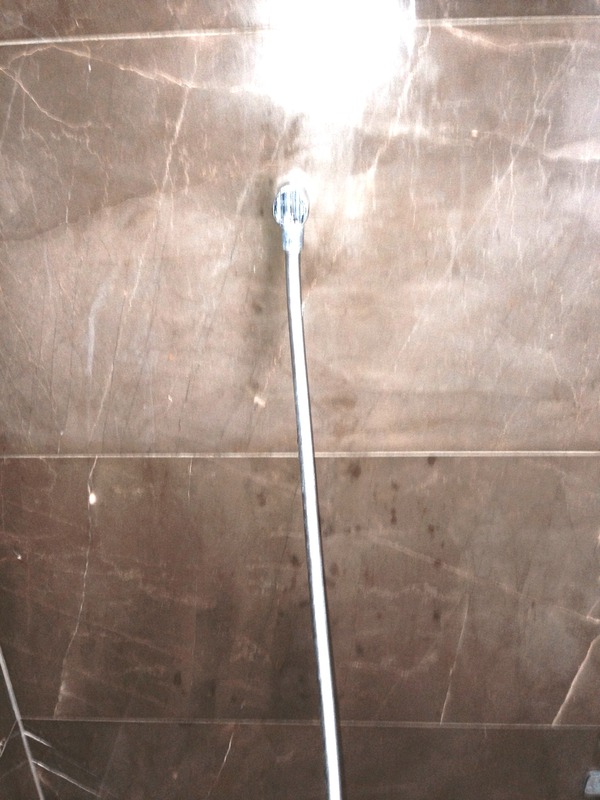 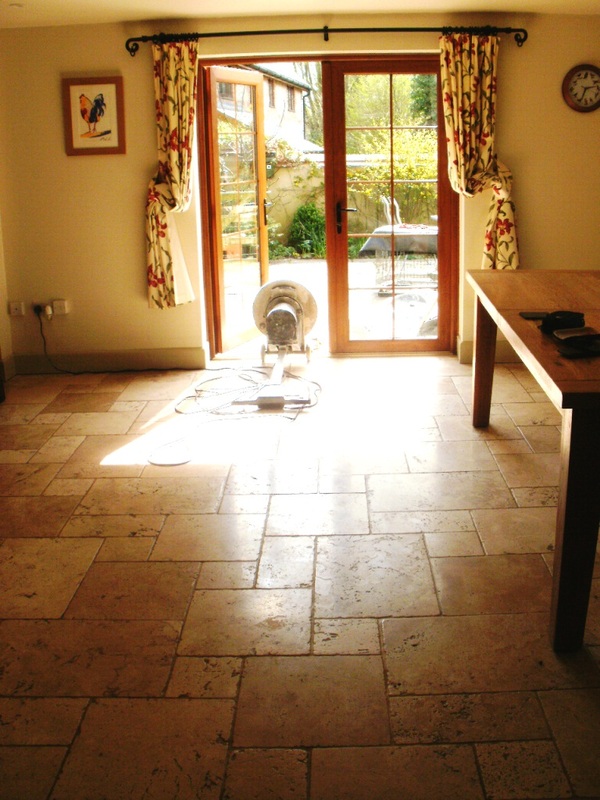 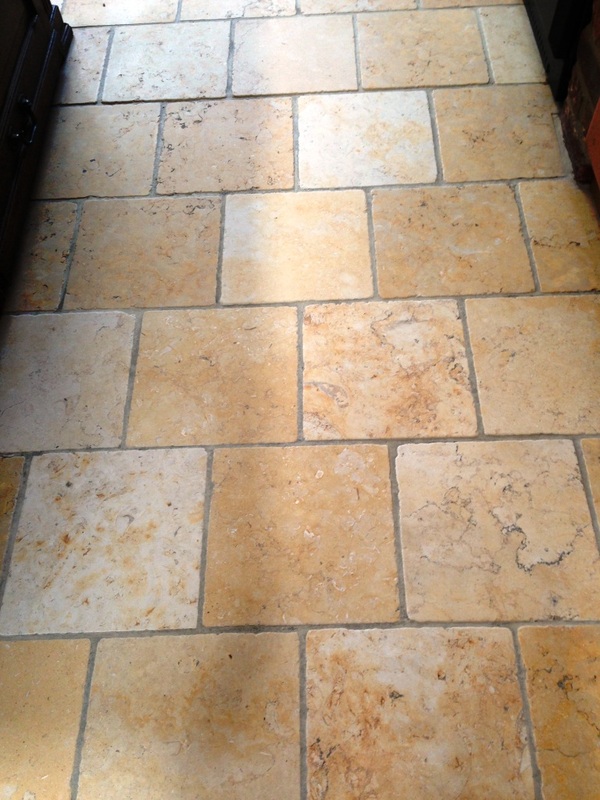 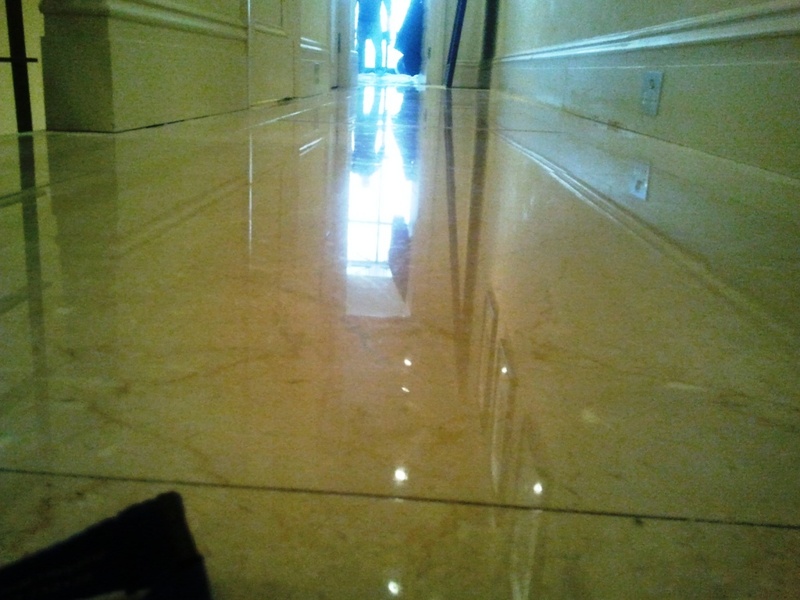 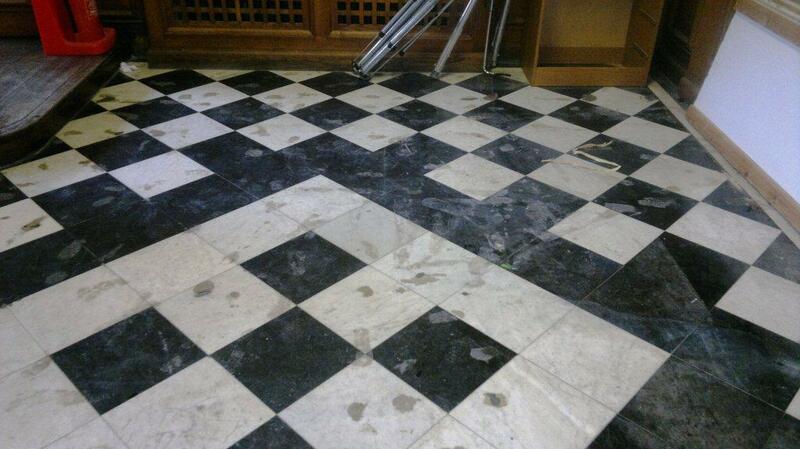 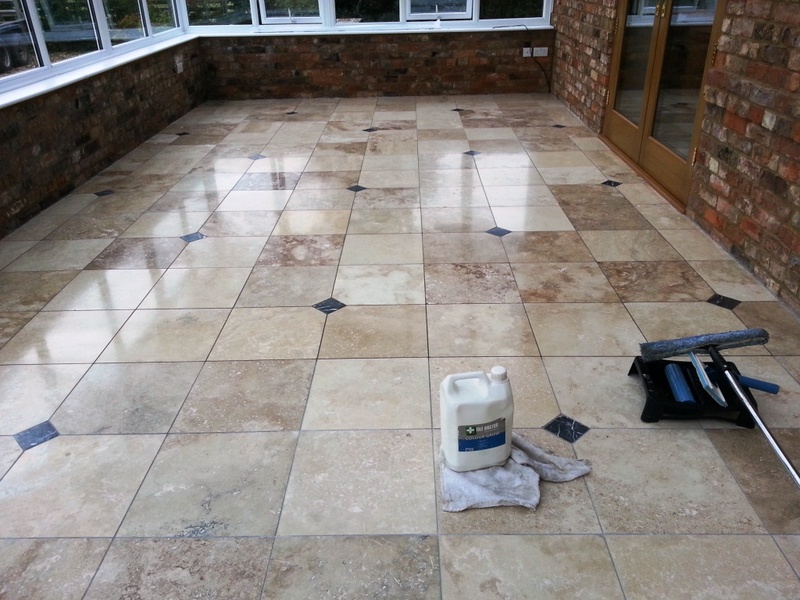 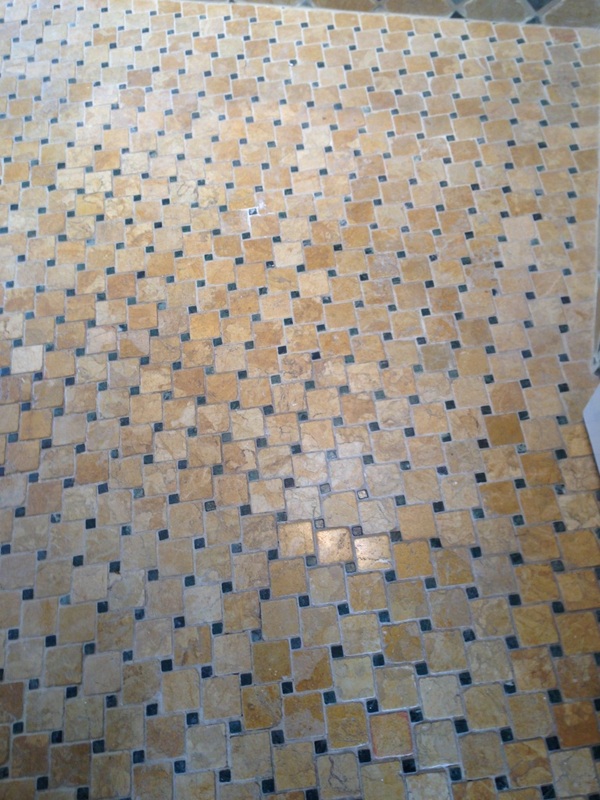 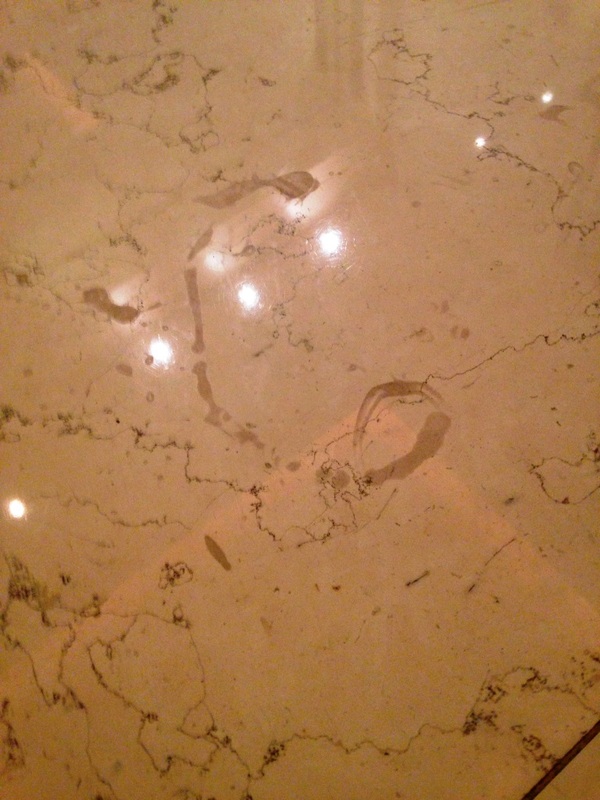 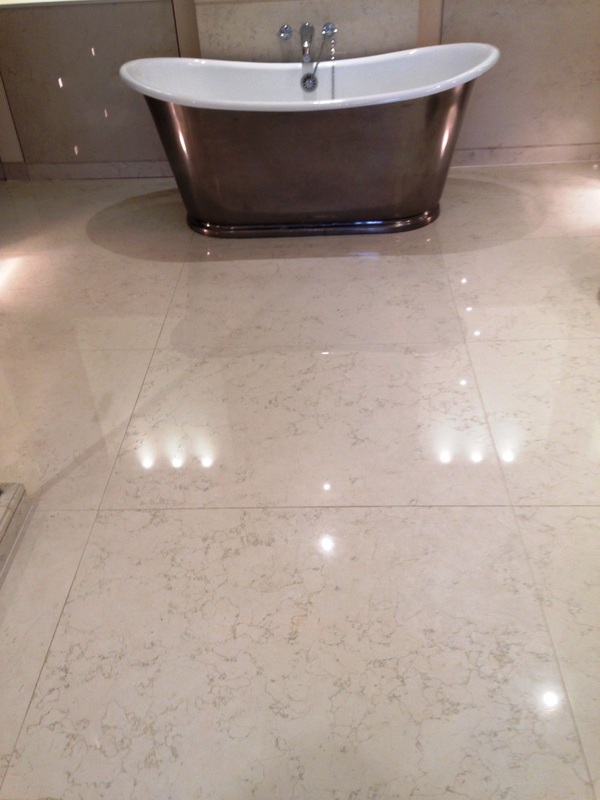 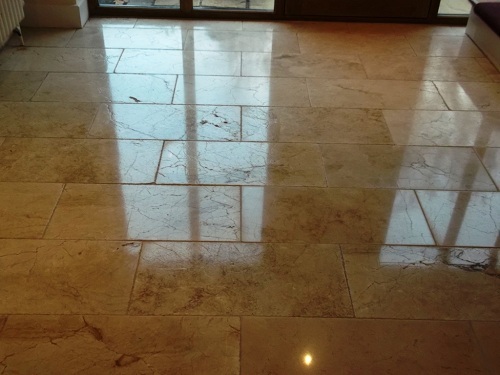 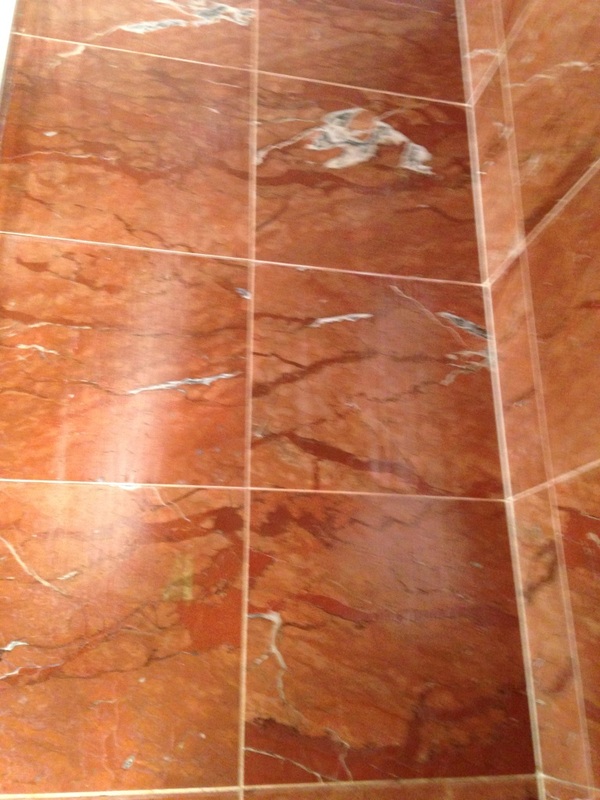 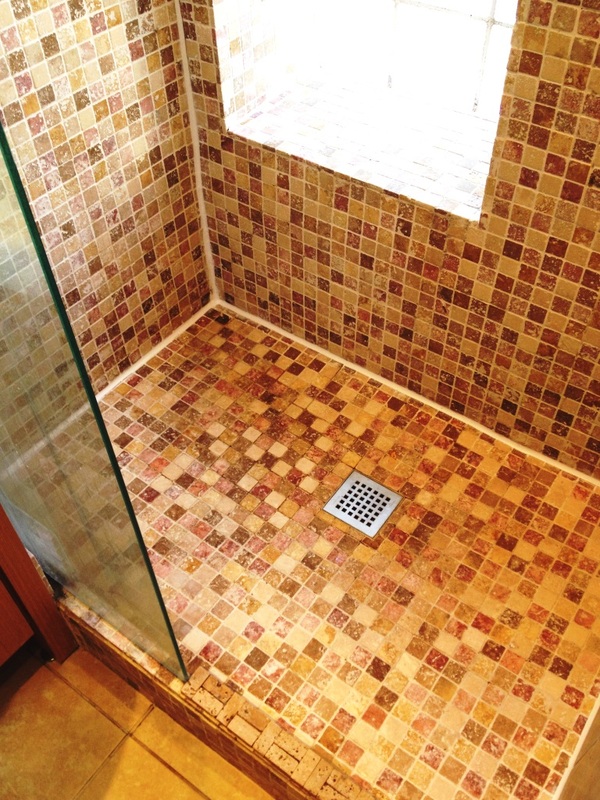 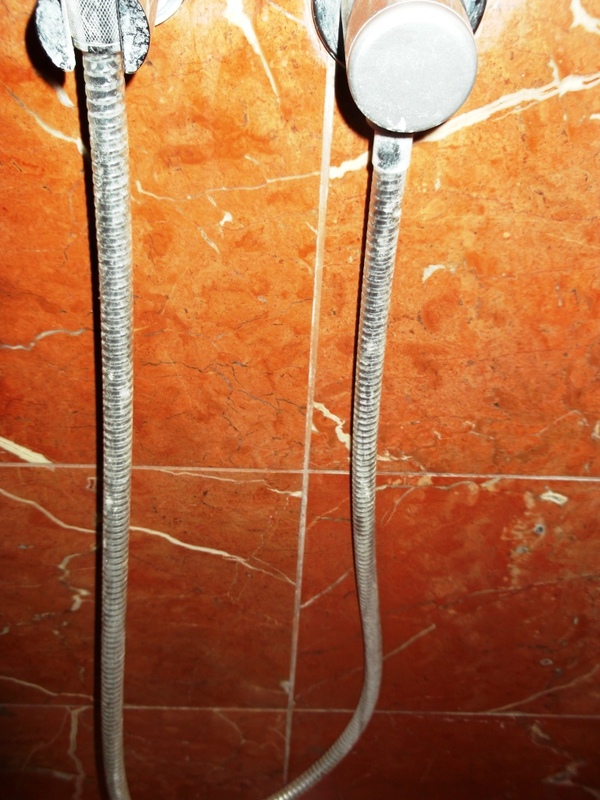 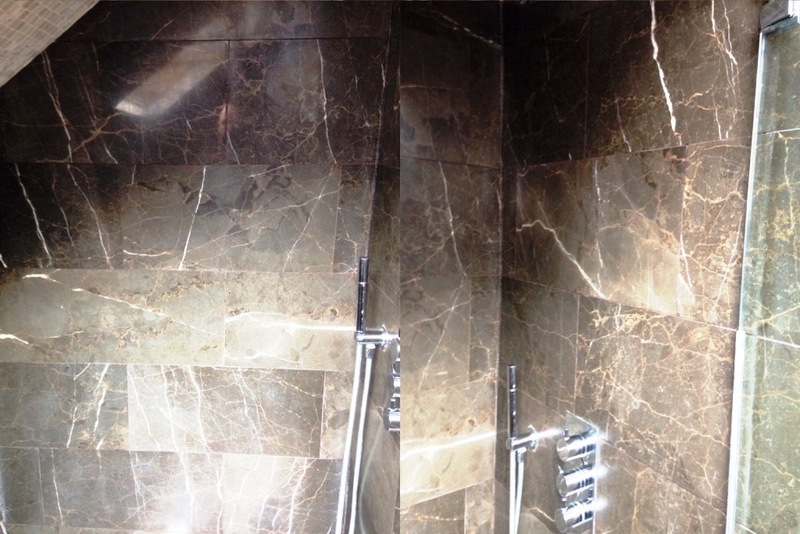 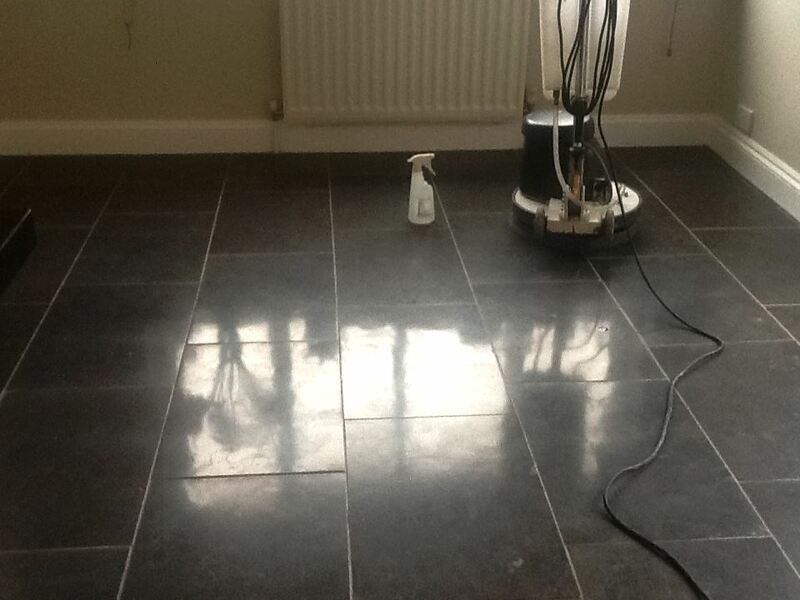 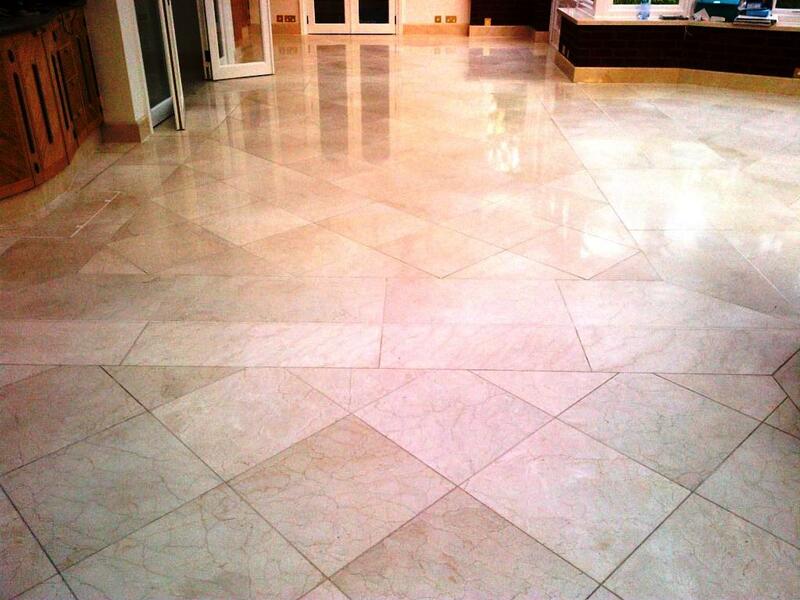 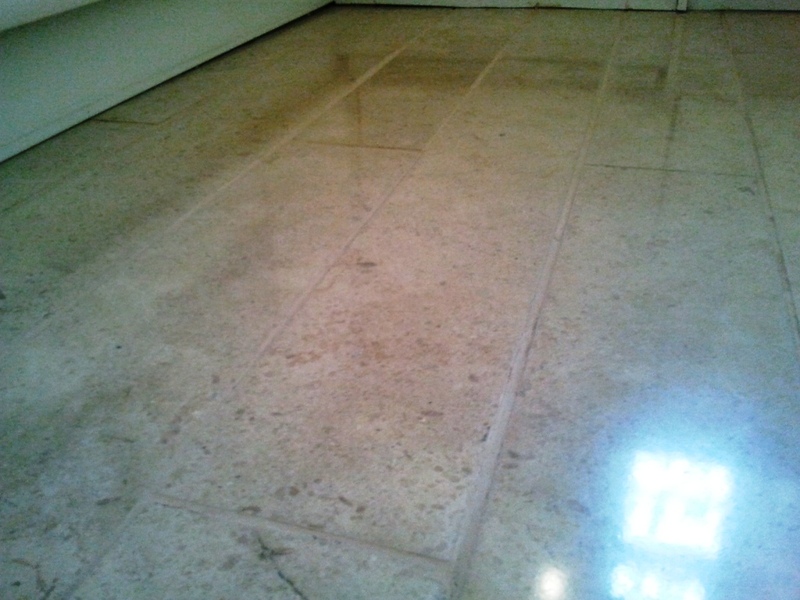 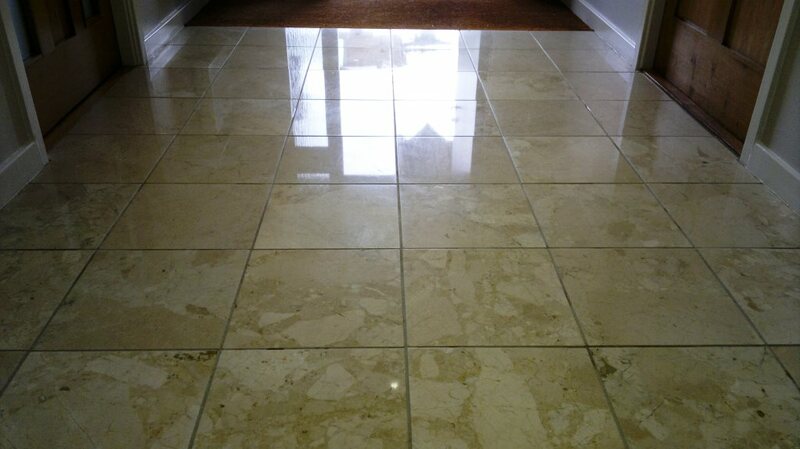 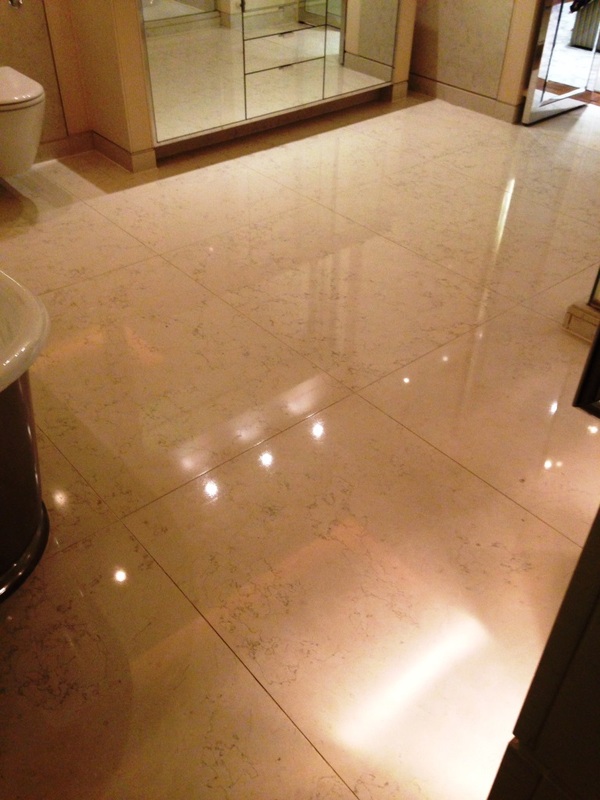 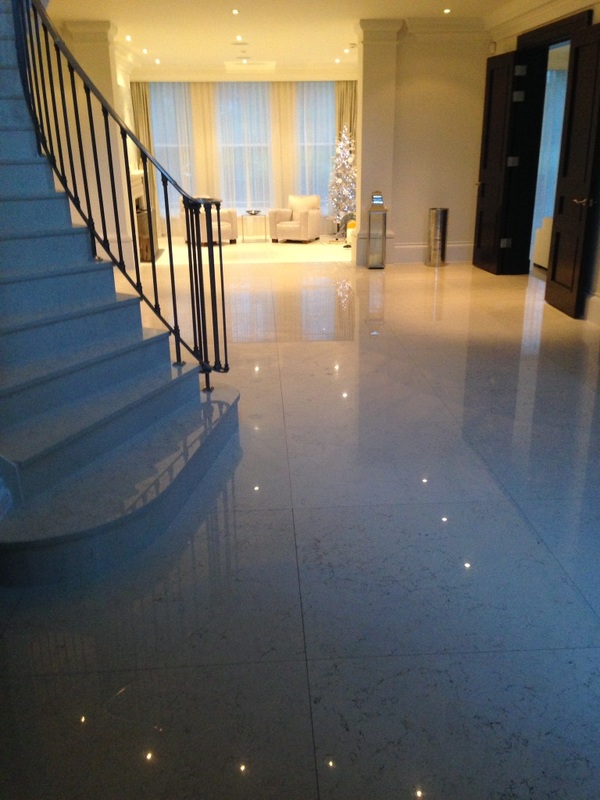 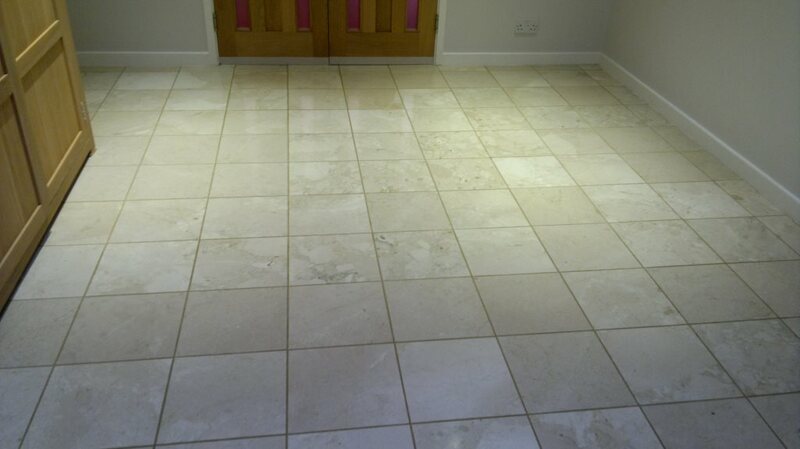 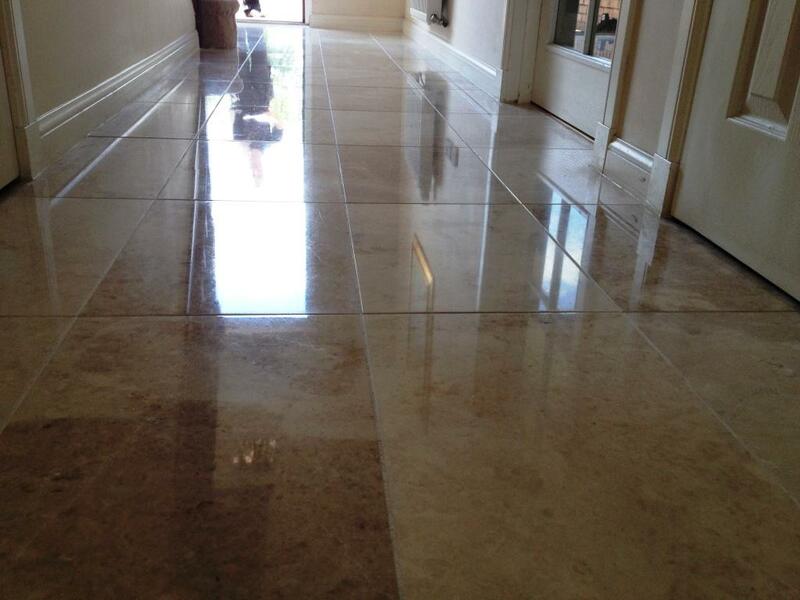 The Marble tiles were cleaned and polished using a set of mini Twister burnishing pads. 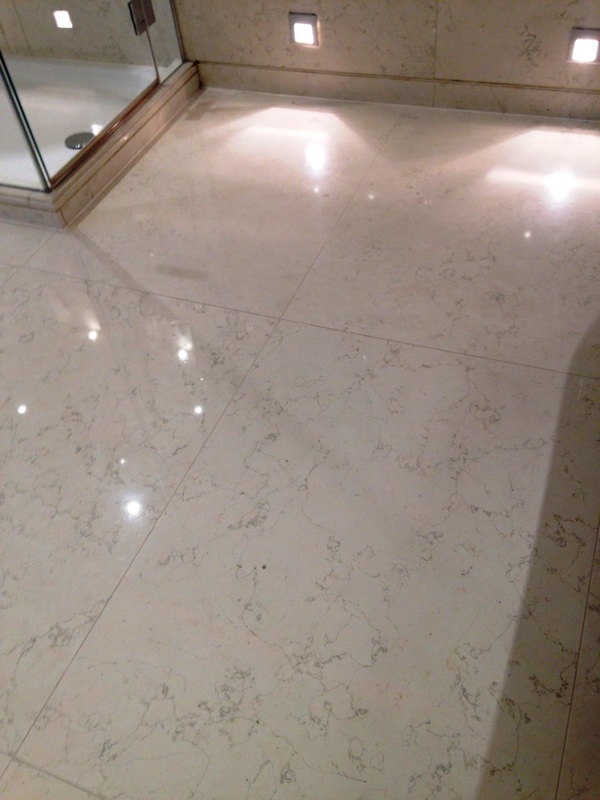 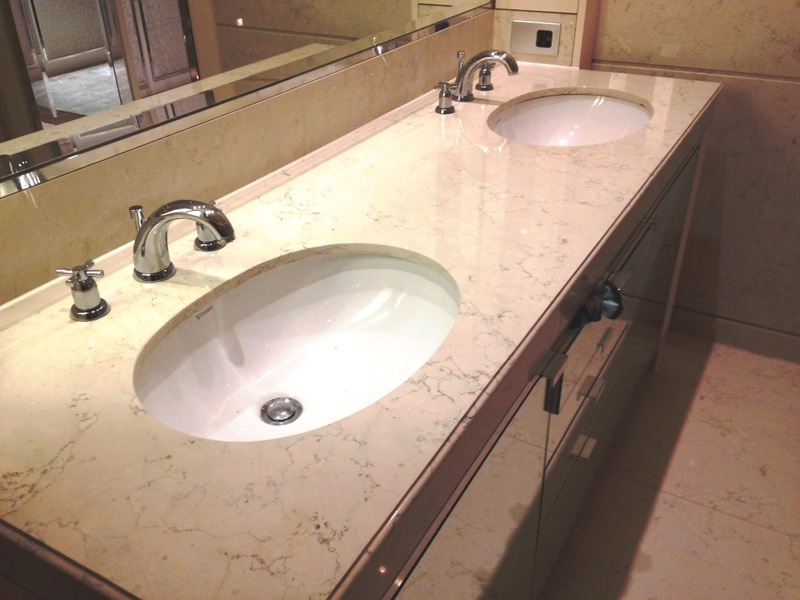 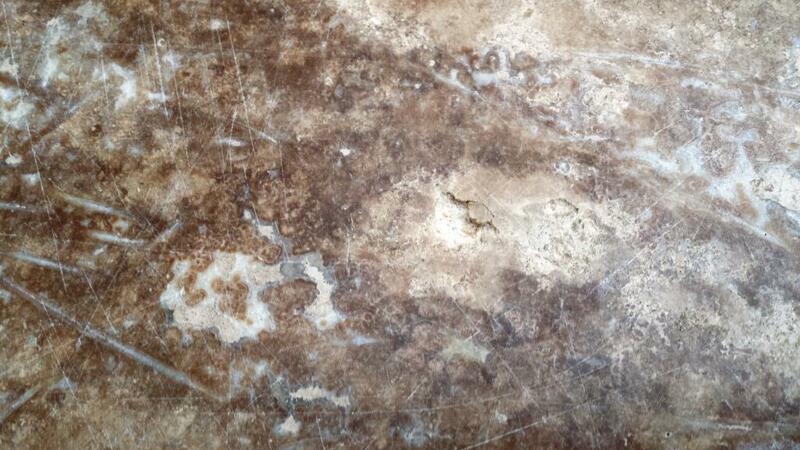 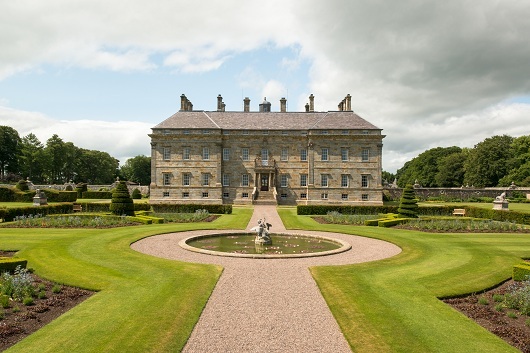 The pads are encrusted in diamonds are brilliant at restoring hard stone surfaces such as Marble. 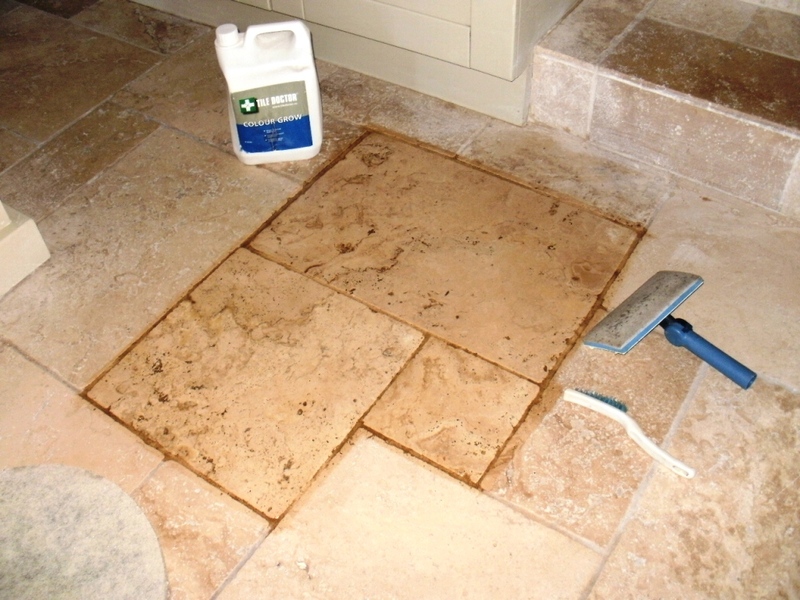 You start with the red pad to remove the existing sealer followed by the white and yellow pads to clean and hone the stone. 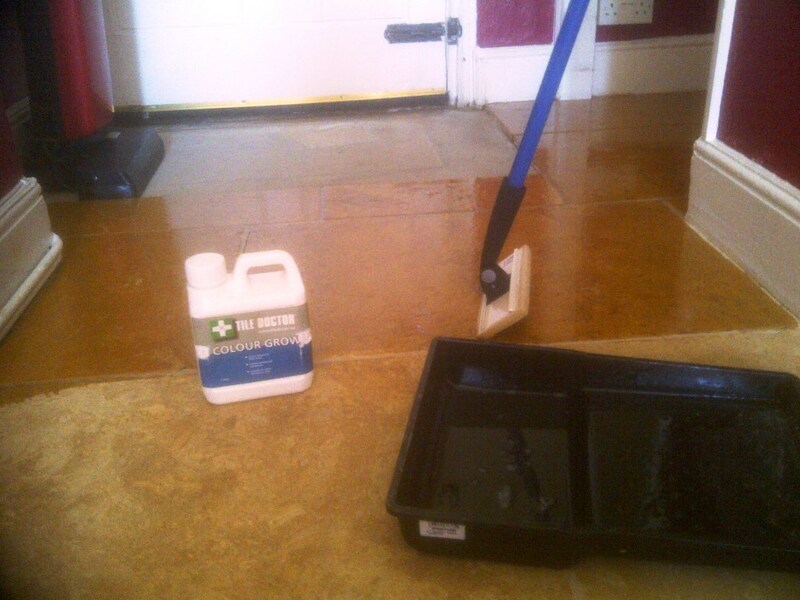 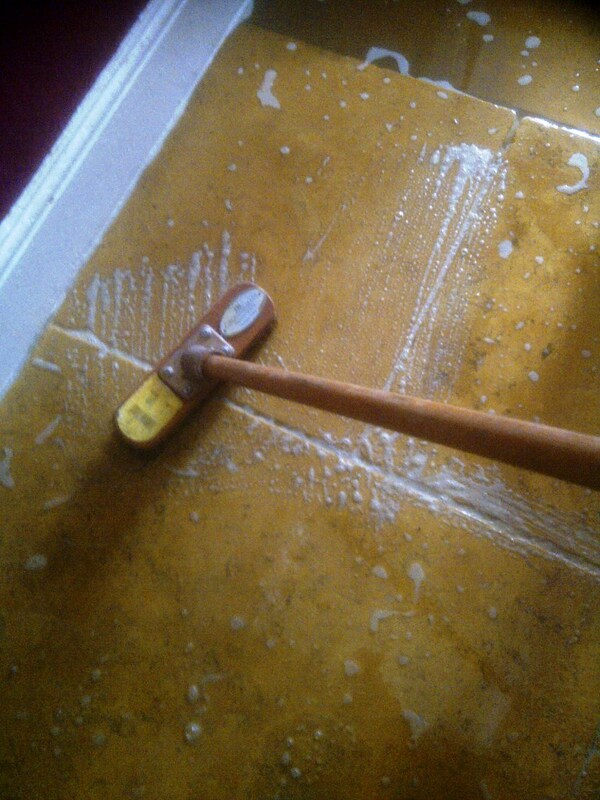 The wall and floor tiles were then rinsed with water to clean and neutralise the floor ready for sealing. 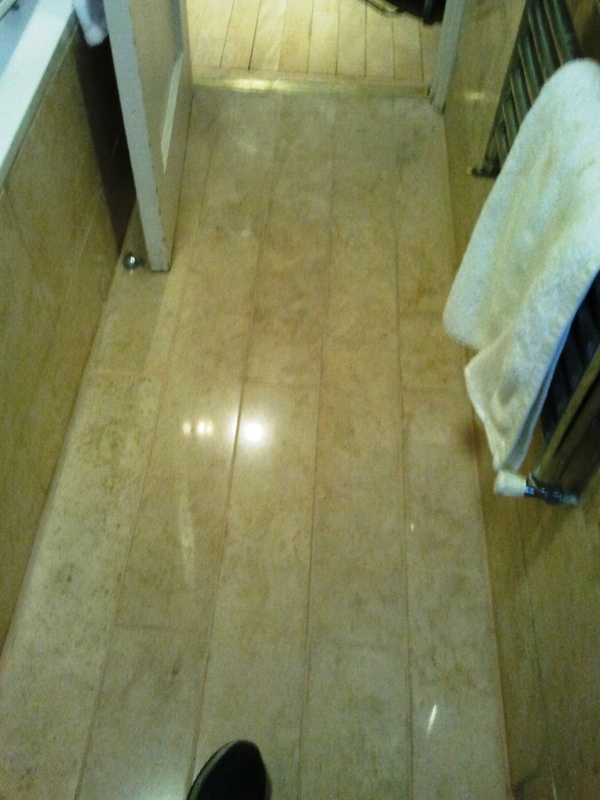 The room had under floor heating which helped to dry out the tile and so it was soon possible to use the final green pad to polish the tiles and move onto sealing. 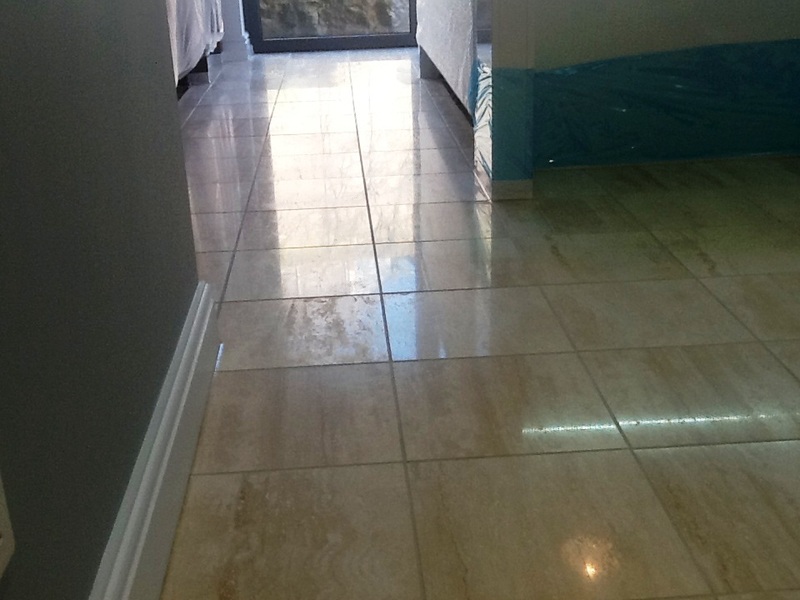 To seal we used two coats of Tile Doctor Colour Grow which is a colour intensifying breathable sealer that enhances colour as well as providing durable surface protection, a one litre bottle of sealer was sufficient. 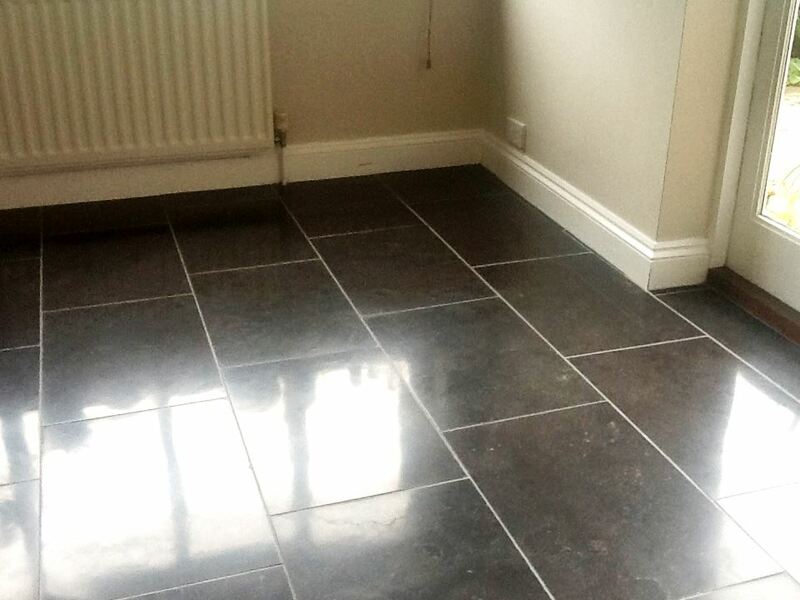 Thanks to the under floor heating we managed to complete the job in a single day and as you can see from the final set of photographs below the stains have been removed and the tiles restored to their original appearance.